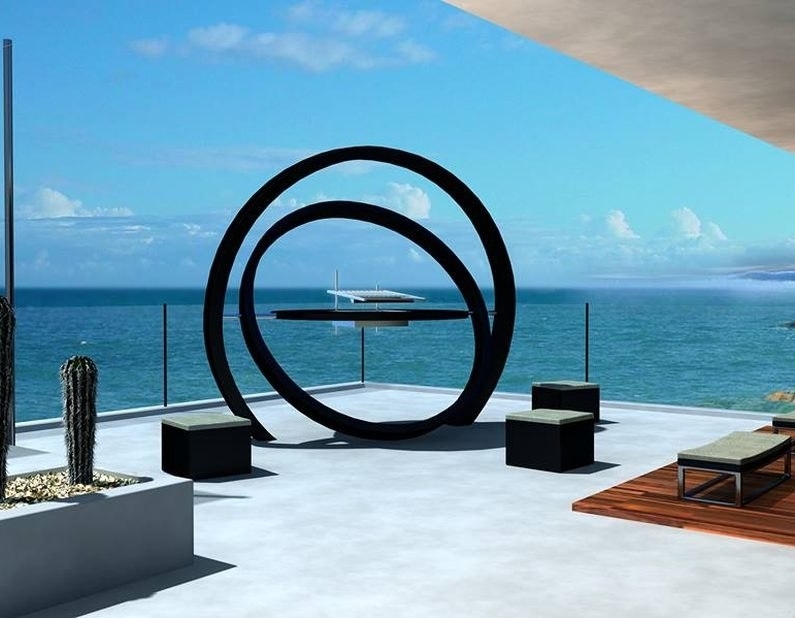 Your home is that special place where dreams are made, where moments are shared with your loved ones. 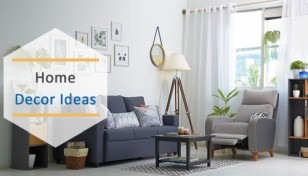 And, to make it more special, you need some creativity and brainstorming ideas to choose items that are decorative as well as functional. 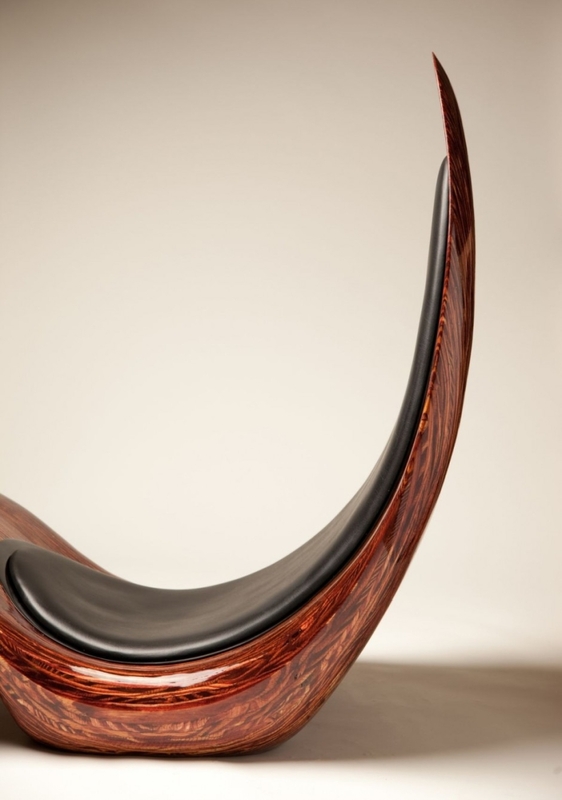 Nowadays, the line between a beautiful home object and a functional sculpture is blurring. 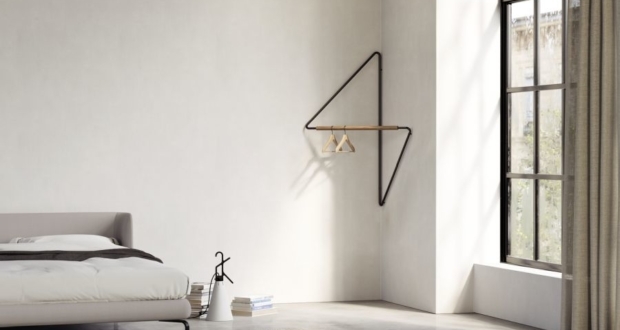 These functional art pieces have started taking place of things that we once used to call furniture, bathtub, shower, etc. 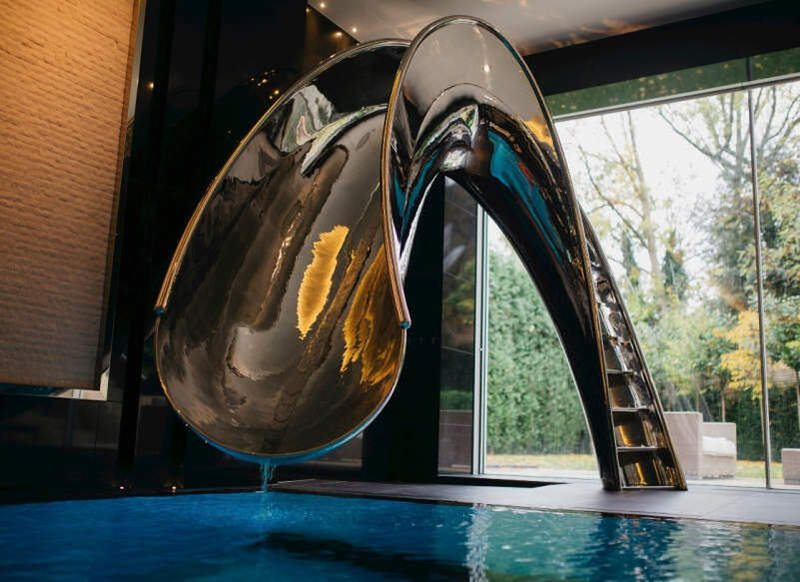 Lots of contemporary artists have mastered the art of creating functional home objects that look as marvelous as sculptures. 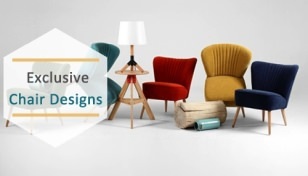 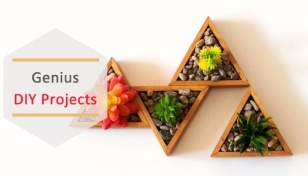 To pay tribute to such skilled hands, we have compiled a list of 25 awesome functional sculptures that have the potential to turn your home into a beautiful art gallery. 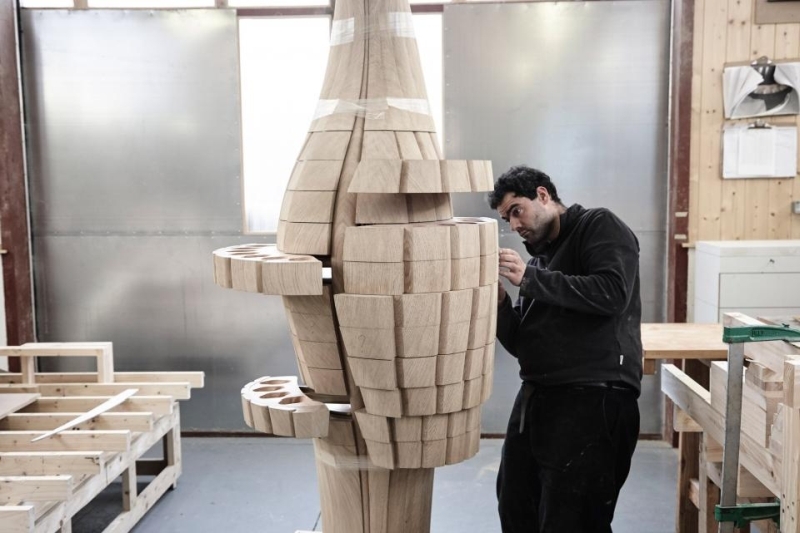 #1 An incredible human body-shaped wooden cabinets by an English designer and carpenter, Peter Rofel. 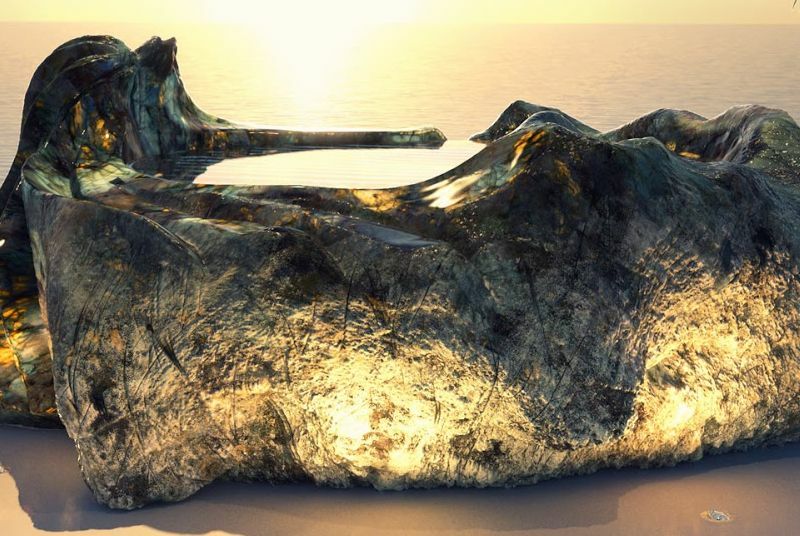 These sculptures are more than just visuals art pieces. 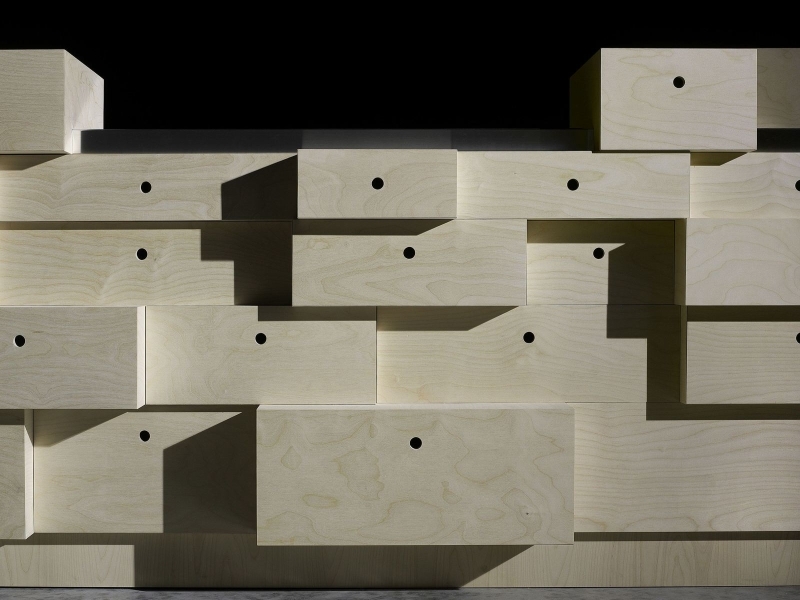 He has created functional and decorative pull out drawers at some unexpected places that one will surely take time to find them. 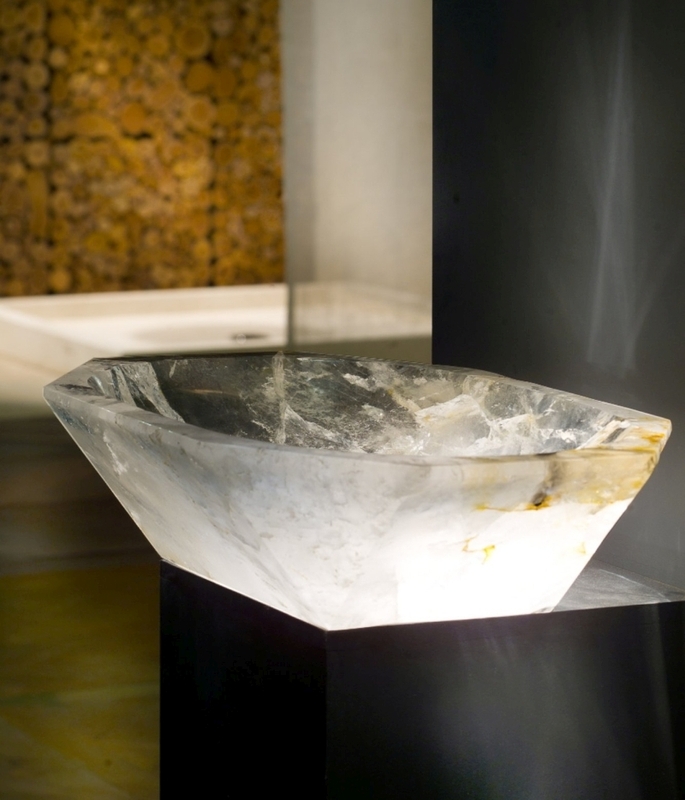 #2 Gemstone sculpture by Jan Carel Koster is a bathtub that you wish you could have in your bathroom. 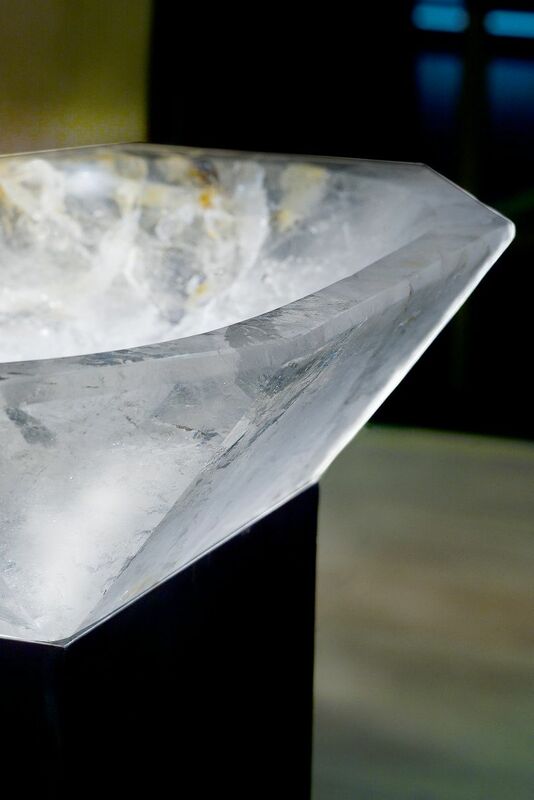 Seeing it for the first time, you will confuse it with a big gemstone. 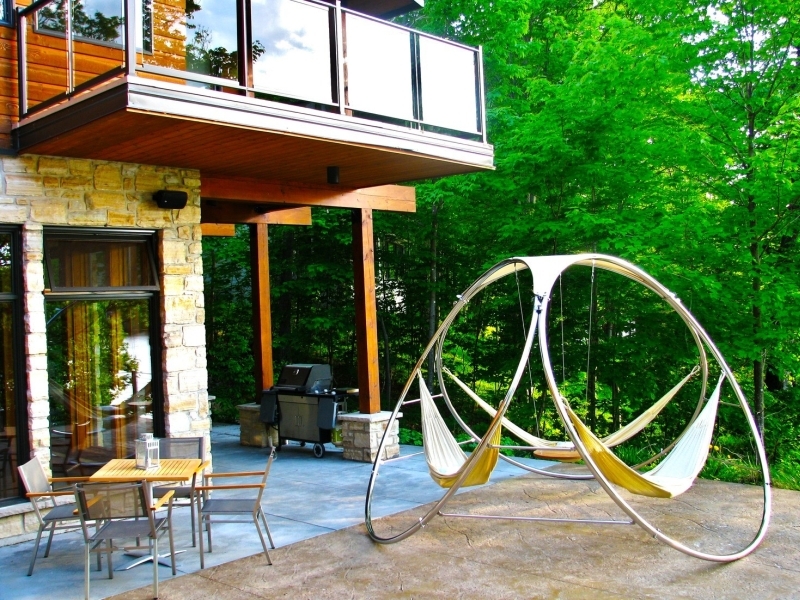 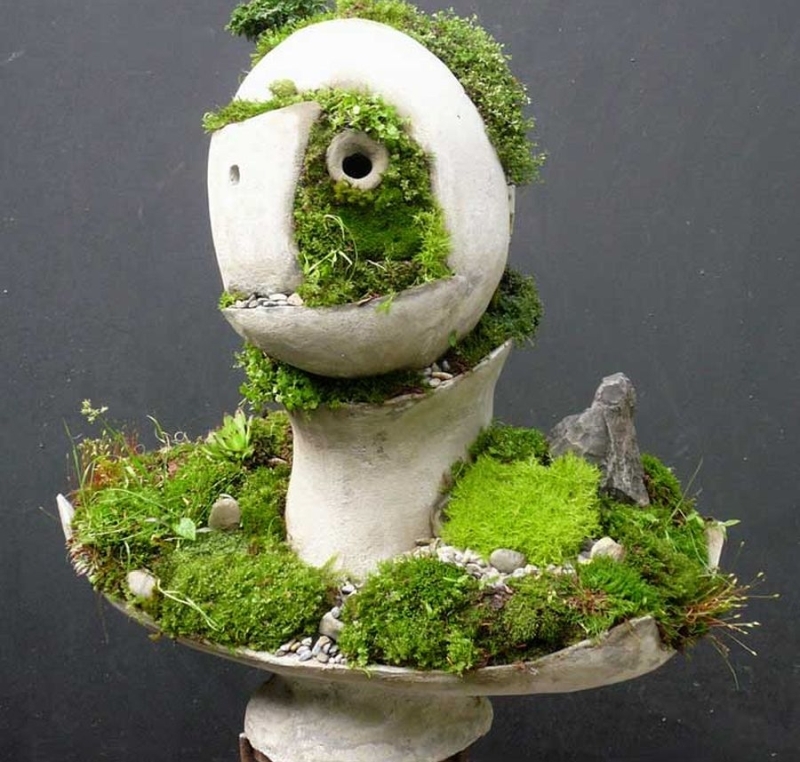 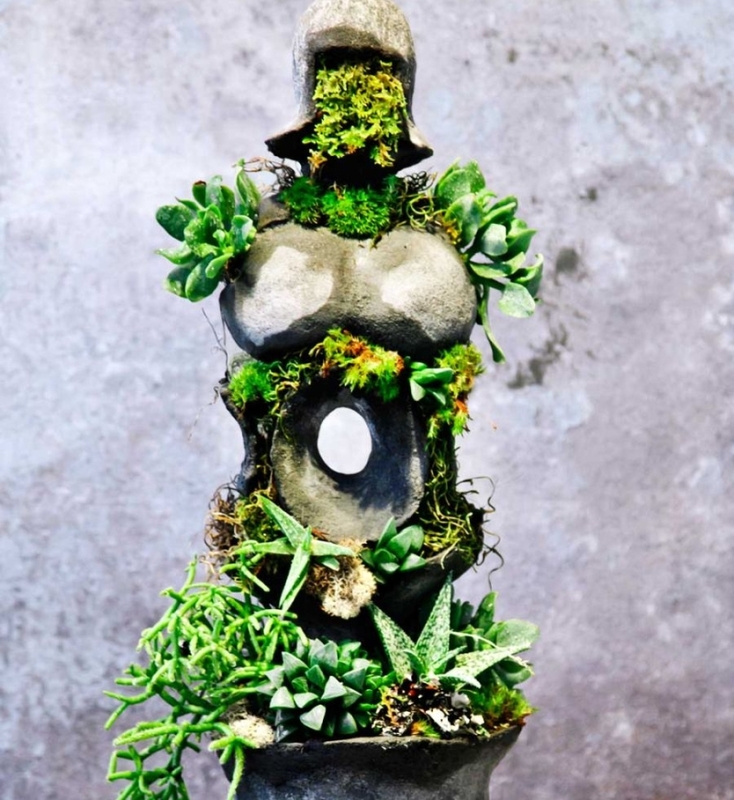 #3 Adorn your garden with these one-of-a-kind garden sculptures by Opiary. 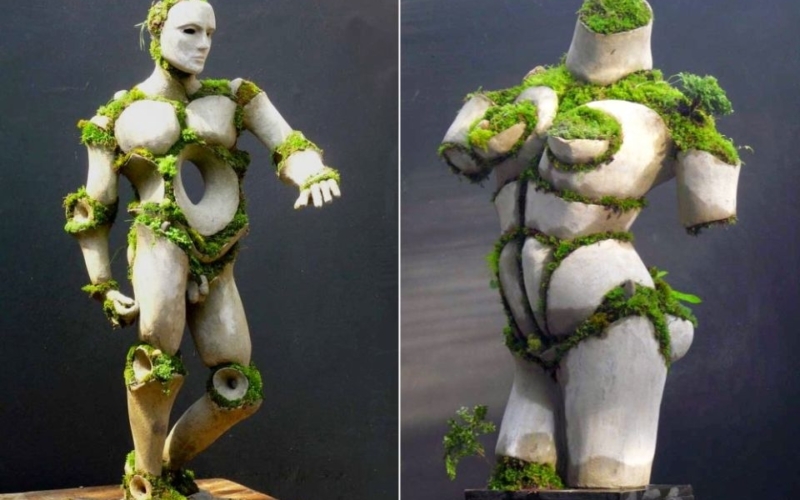 These sculpture are fantastic that unite figures and flora with simple details and curvaceous lines. 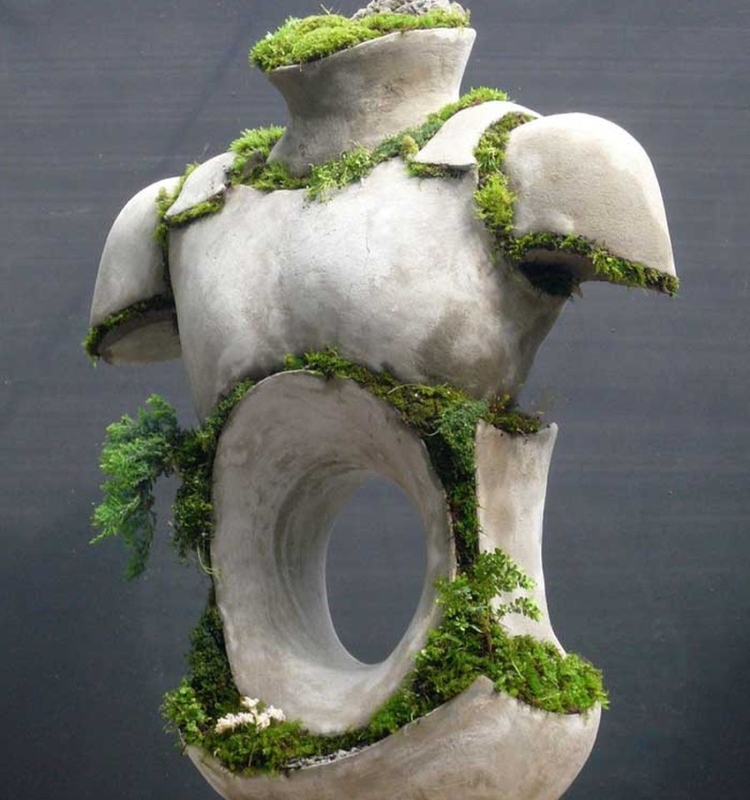 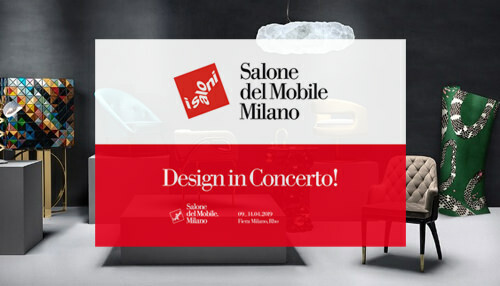 The collection includes beautiful art forms ranging from classic Apollo to the modernistic Hanging Gardens. 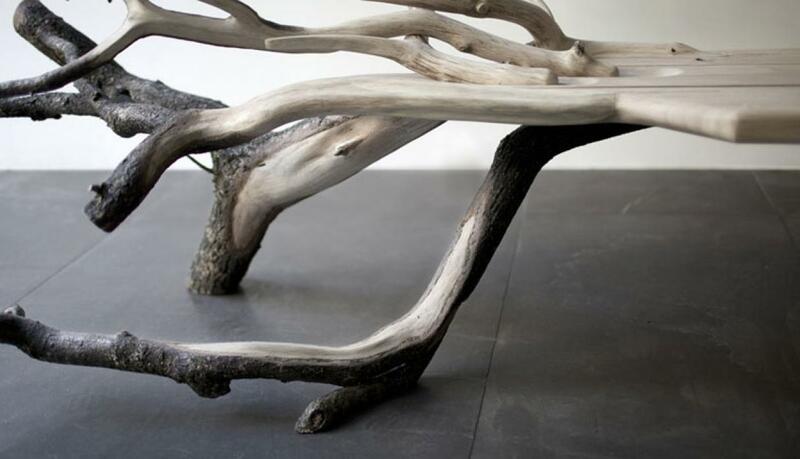 #4 This organic fallen tree table is designed by Benjamin Graindorge. 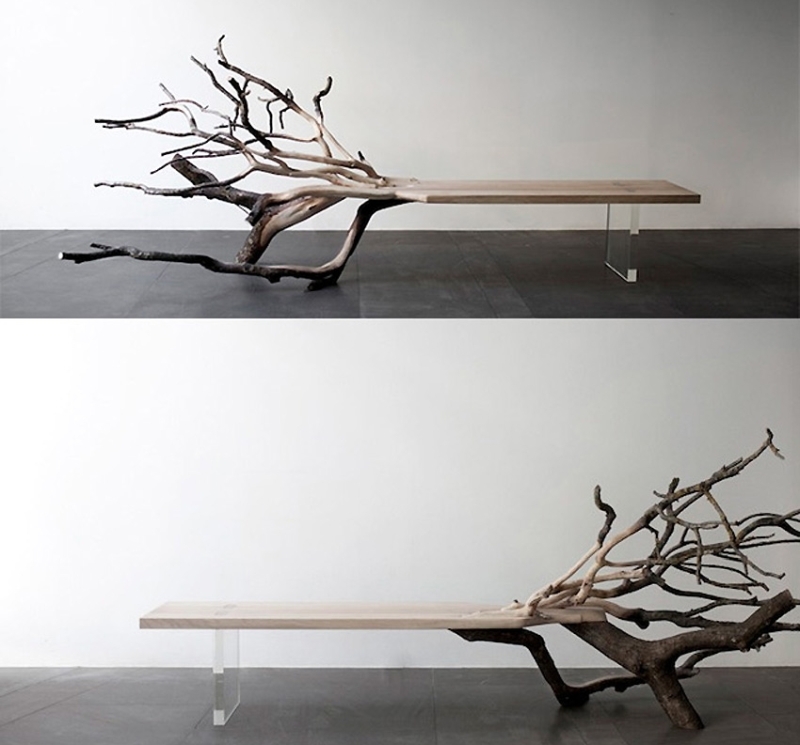 The fallen tree table is minimalist bench made from a slab of glass and carefully carved oak tree. 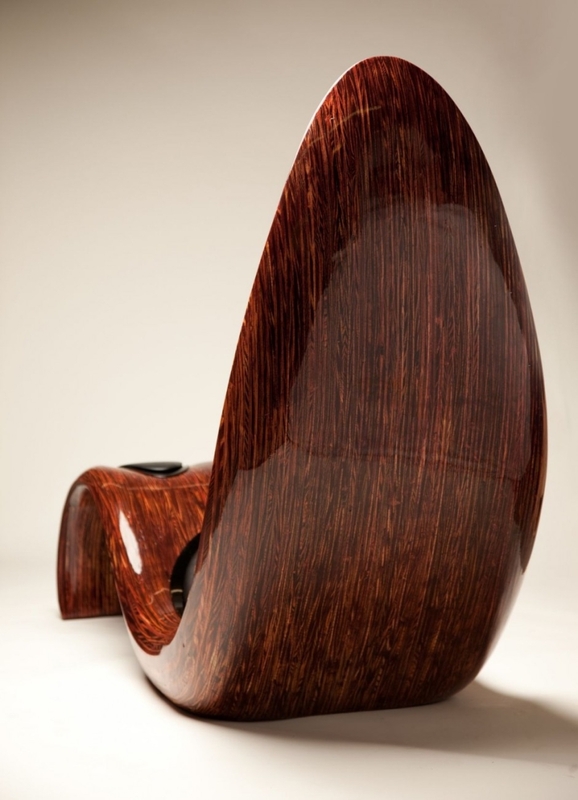 Beholding its natural beauty, the tree intact as support on one end of the bench reminds us of the existence of the mother nature around us. 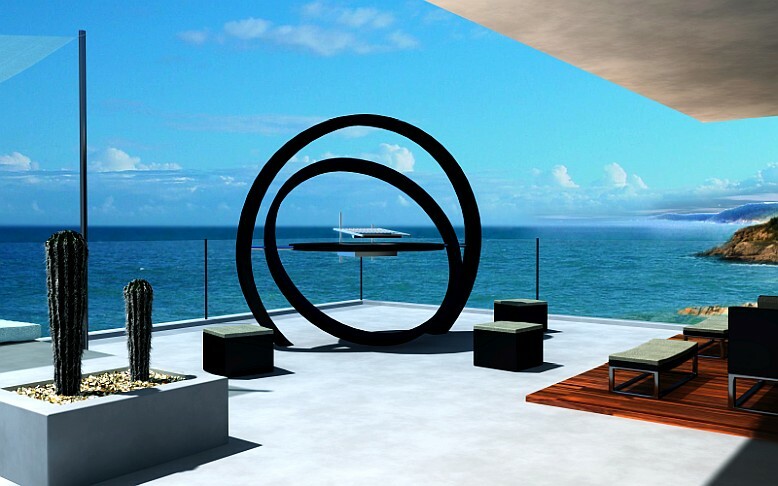 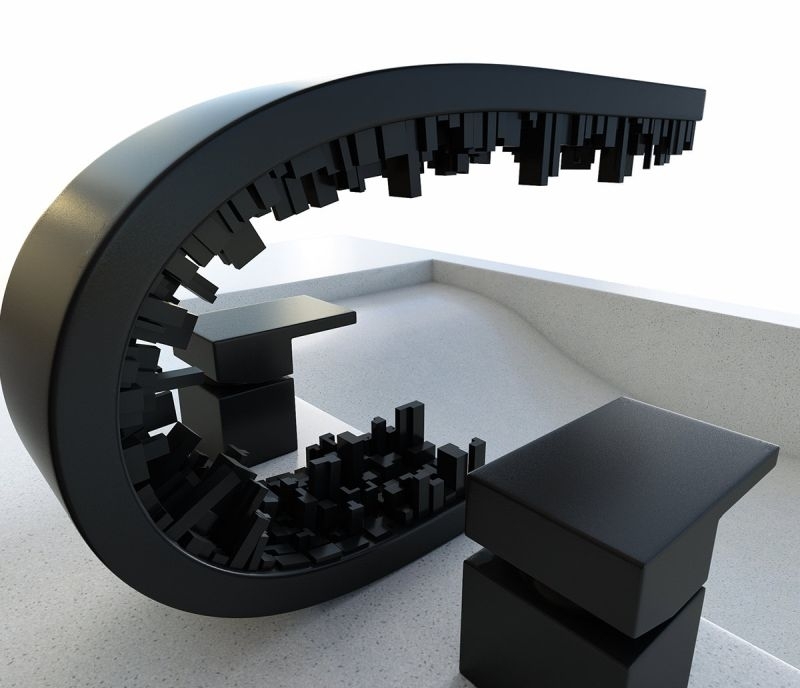 #5 This sculptural BBQ grill is designed by French design house Cesarré. 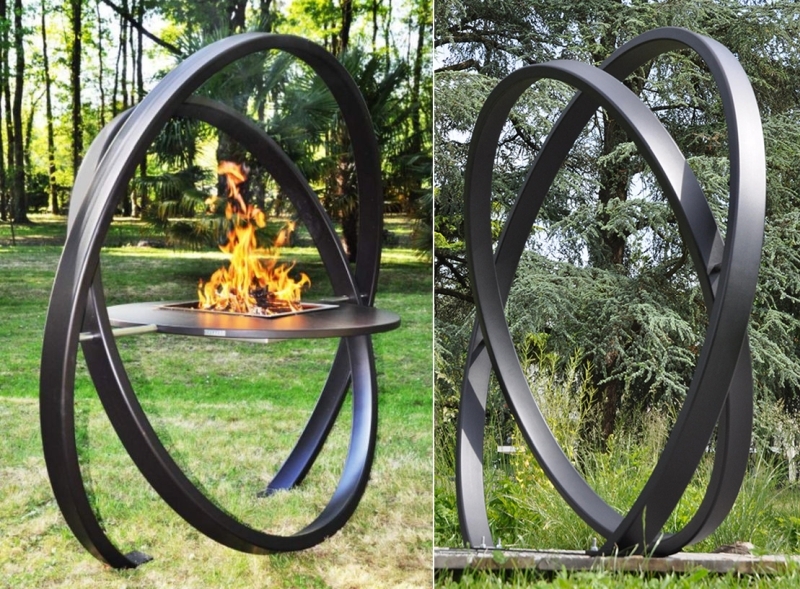 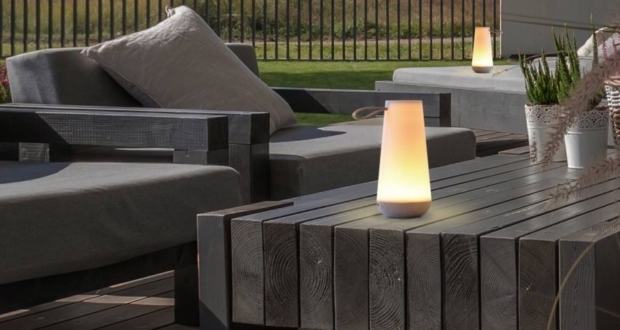 Made of zinc-coated steel, Kara is a charcoal BBQ grill that not only cooks your food, but also serves as a decorative art piece in your backyard. 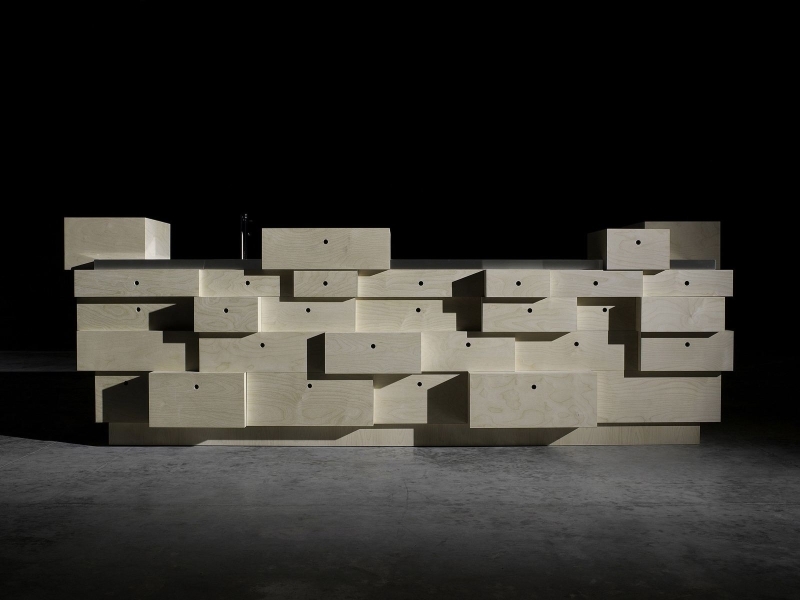 #6 Joseph Walsh studio has made a custom watch cabinet. 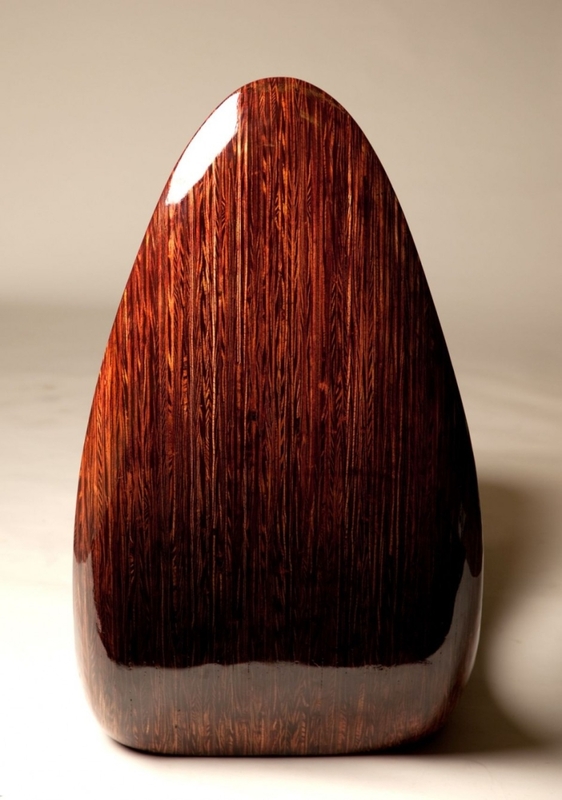 ‘A piece of time’ is the name, and is crafted from fumed oak. 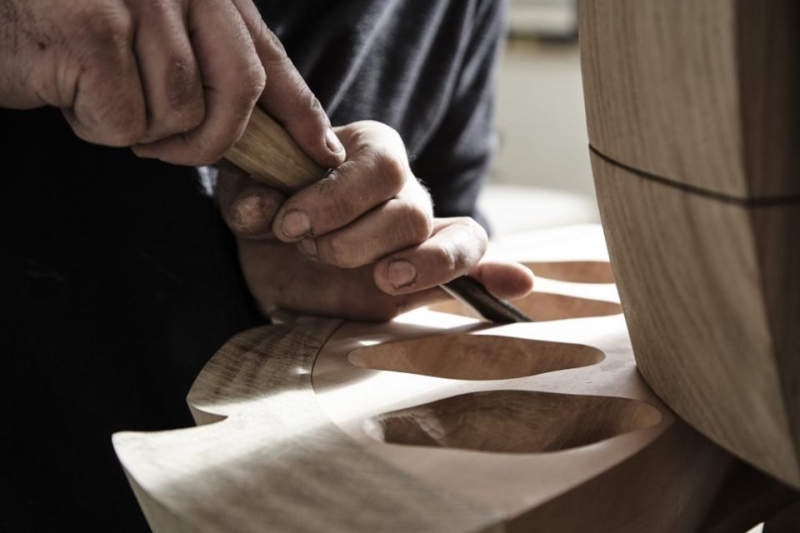 Drawers are crafted from pear wood and finished in suede. 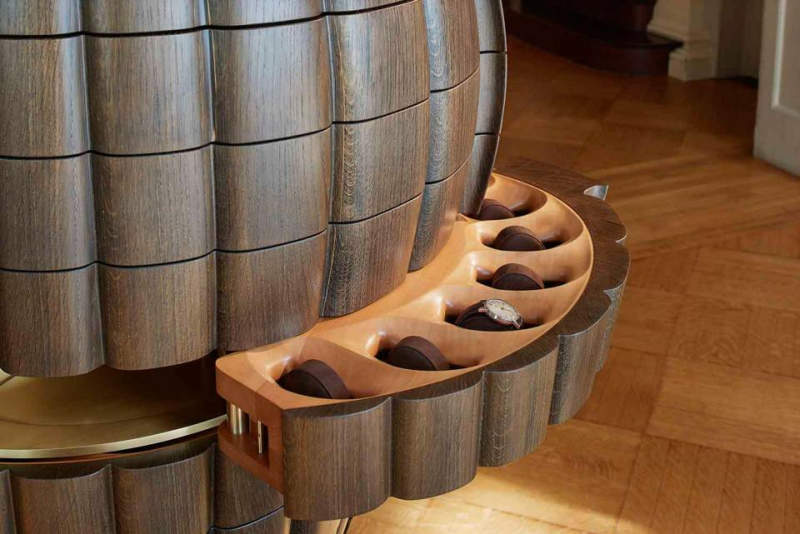 The cabinet is six feet tall and has separate compartments spanned over eleven levels to store up to 108 watches stylishly. 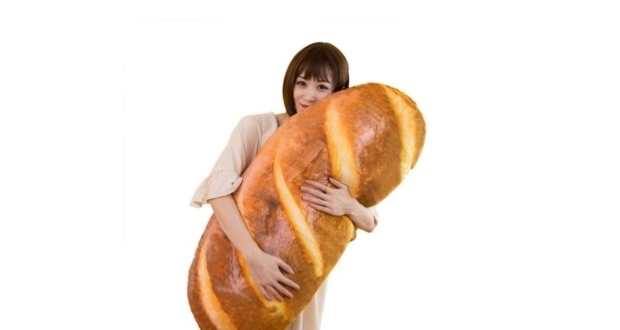 Amazing, isn’t it? 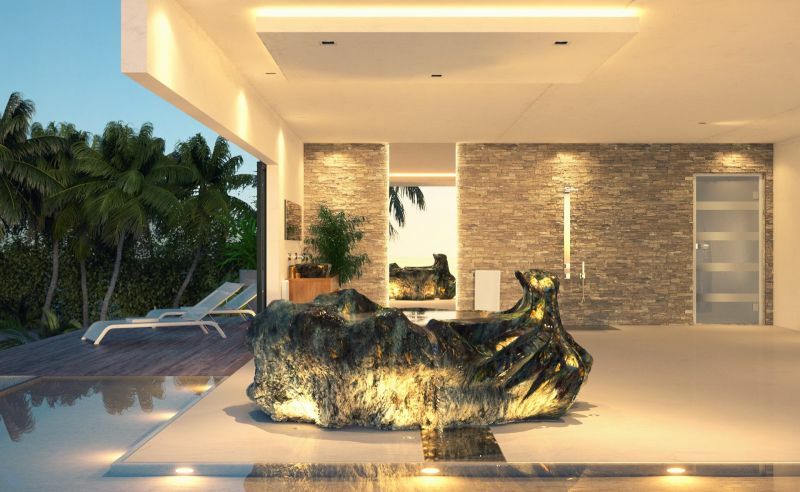 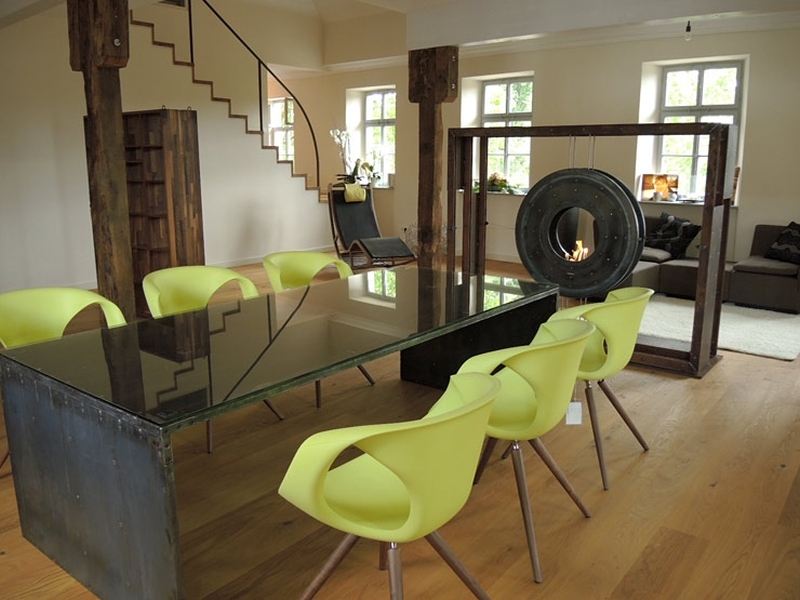 #7 Eisen Frank has designed this awesome fireplace that is very intriguing in appearance and a worthy home décor. 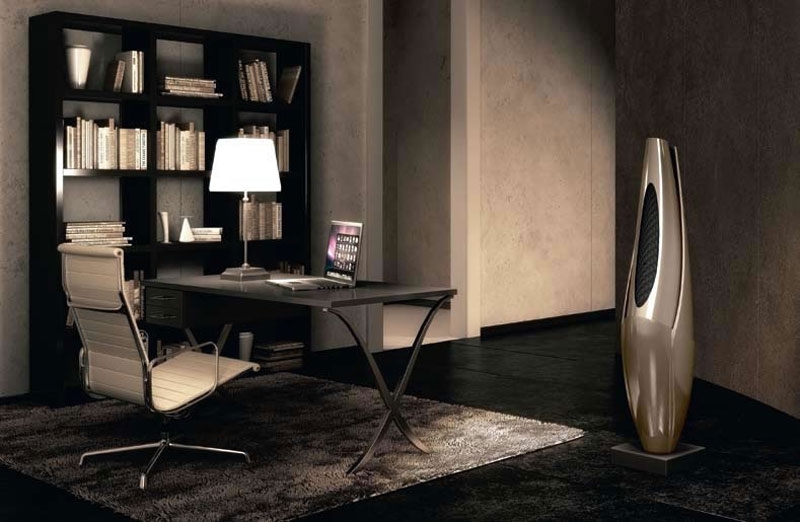 The fireplace is made of hot rolled steel and the surface producing rust patina lends it a timeless look. 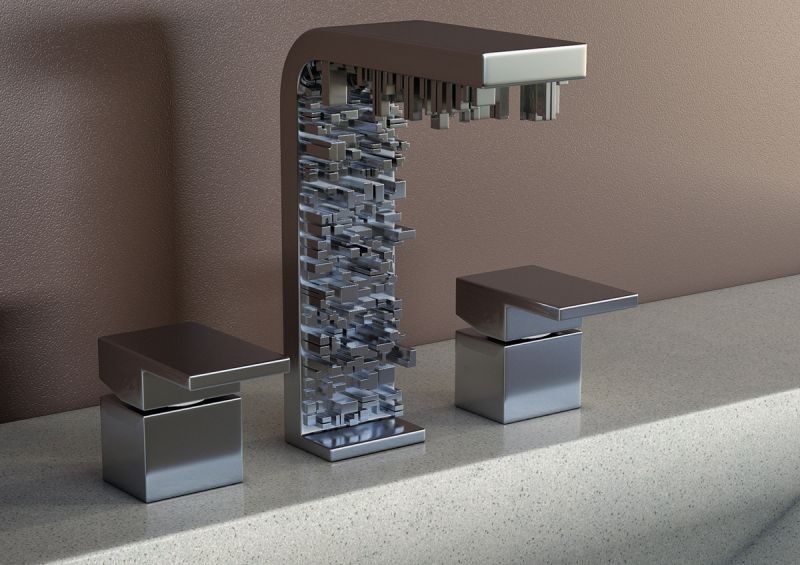 #8 The Inception tap from QS Supplies is a high-quality designer tap. 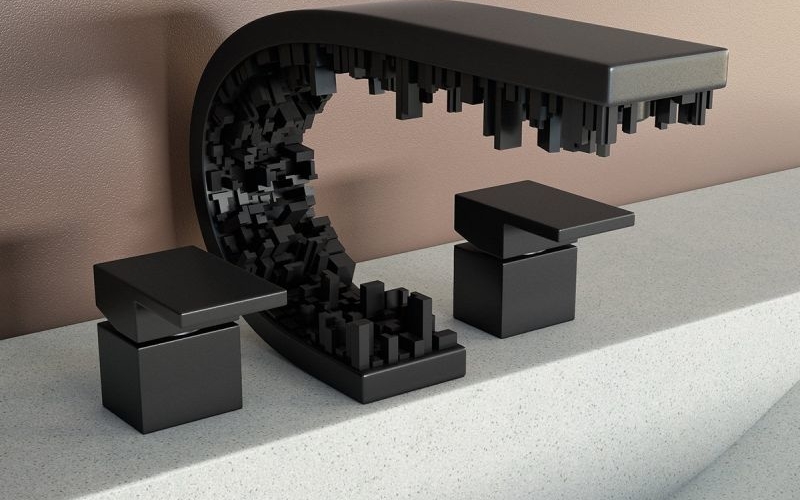 The stylish concept bathroom fixture is guaranteed to leave an edgy and modern appeal while adding a clean cut-touch to your restroom. 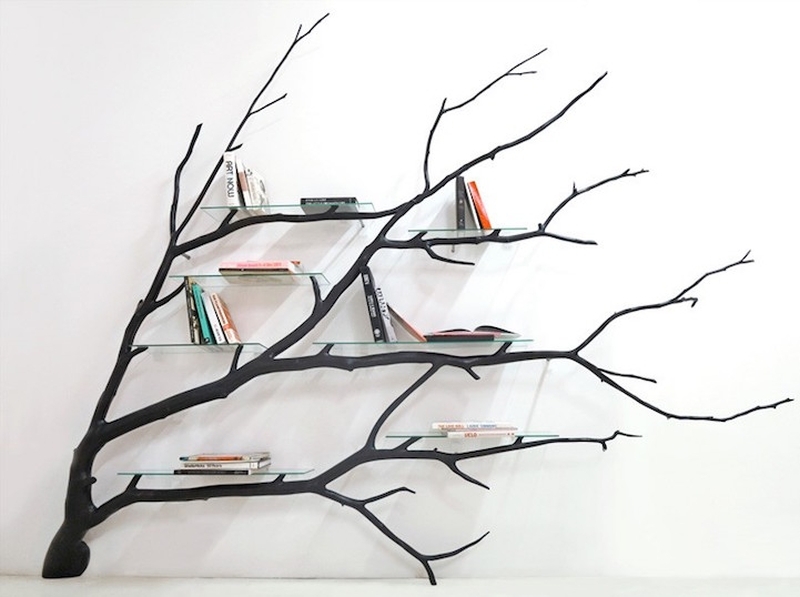 #9 An artist found this tree branch lying on the side of the road, and made it into shelves. 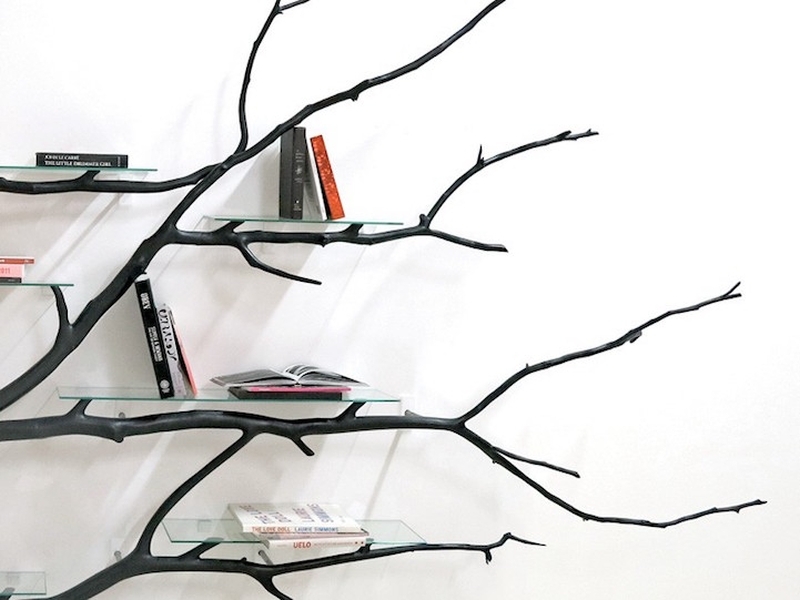 After twisting, turning, and readapting branches, the final result was an unconventional shelf that tends to bring outdoor inside. 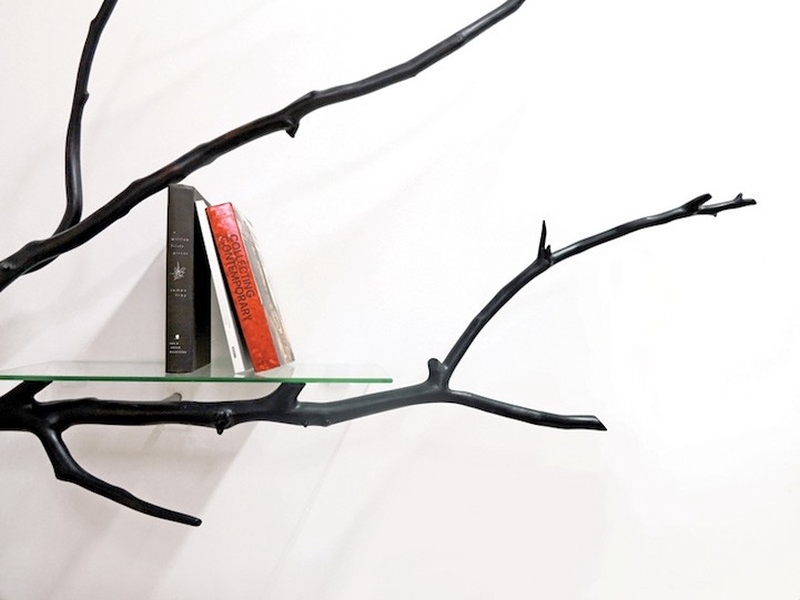 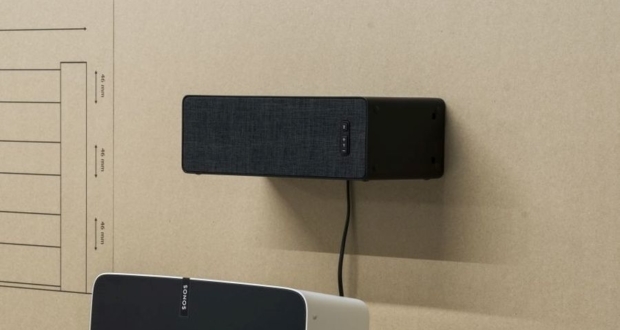 The shelf is organic and looks modern – a striking statement piece for any living room! 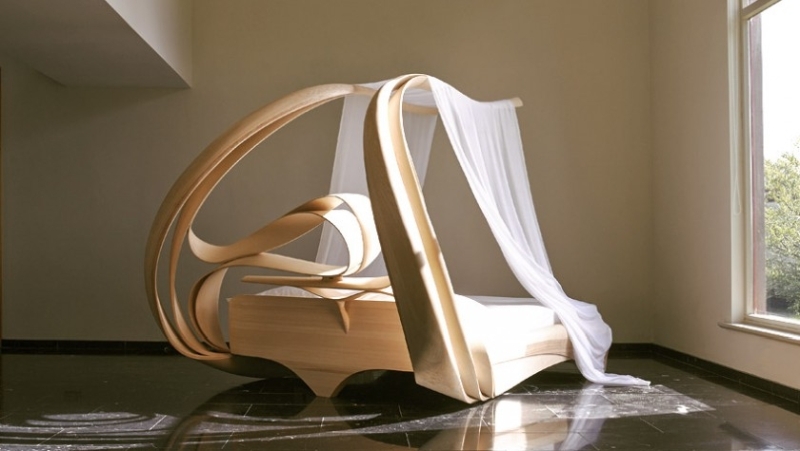 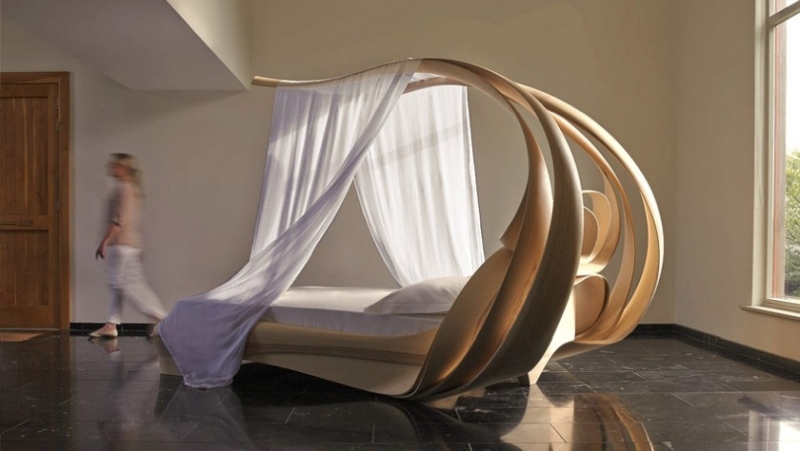 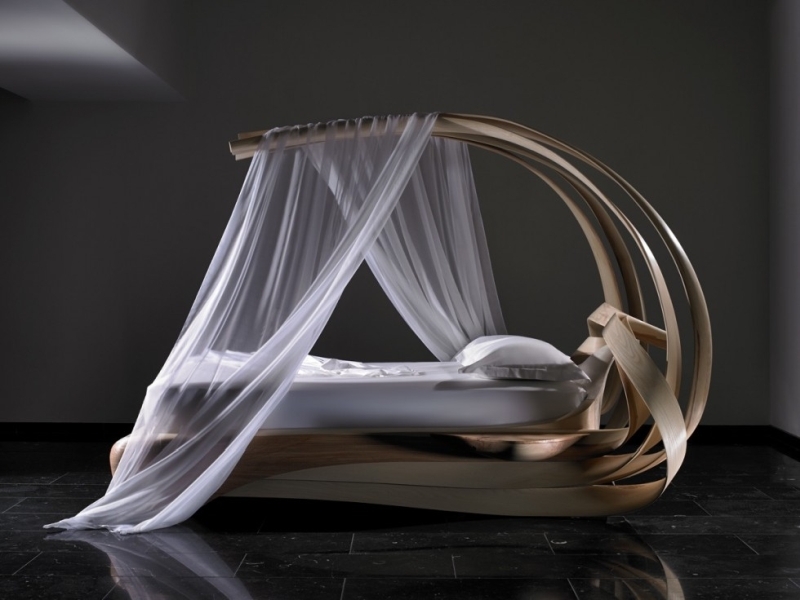 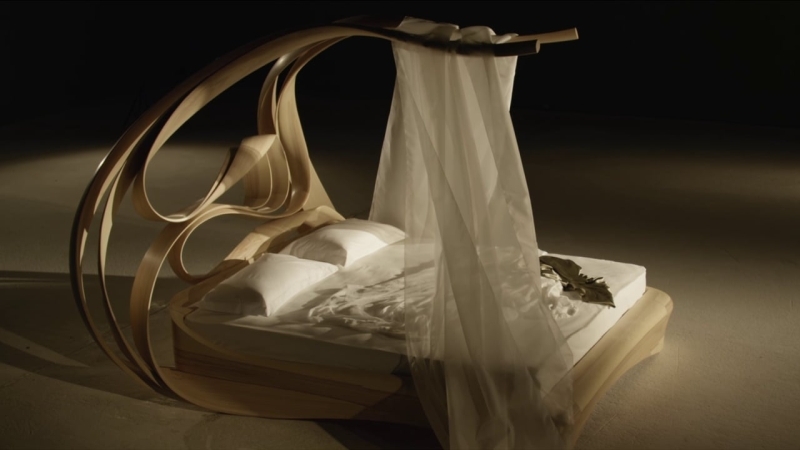 #10 Joseph Walsh has designed this Enignum VI canopy bed. 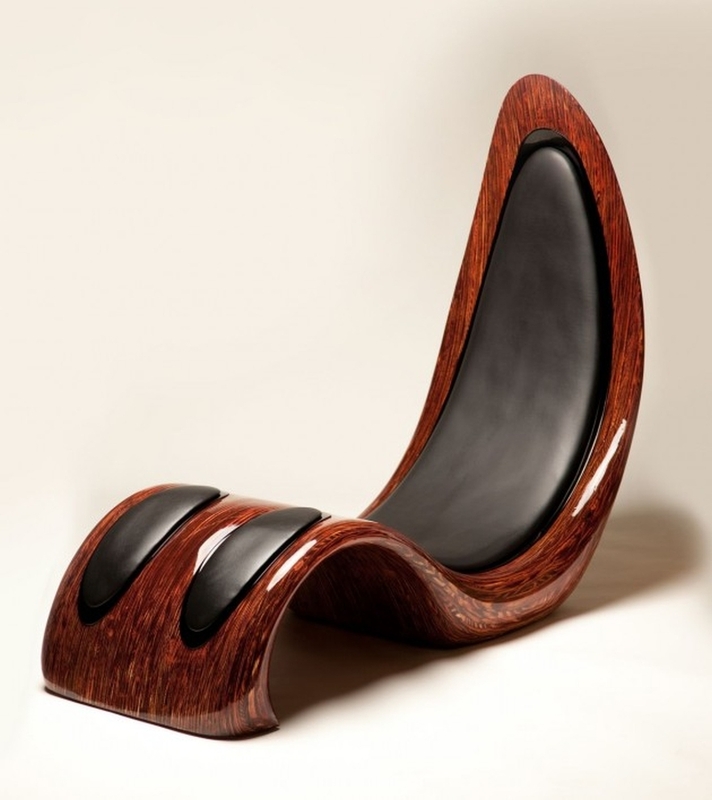 This piece of art creates a sense of enclosure, and its organic curves sweep you away to dreamy landscape. 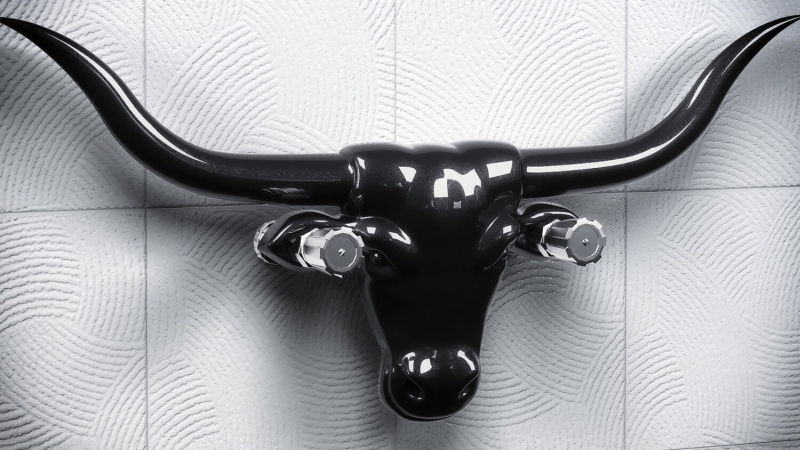 #11 The U.K based QS Supplies has designed these awesome looking ornamental radiators that are functional art pieces for your wash room. 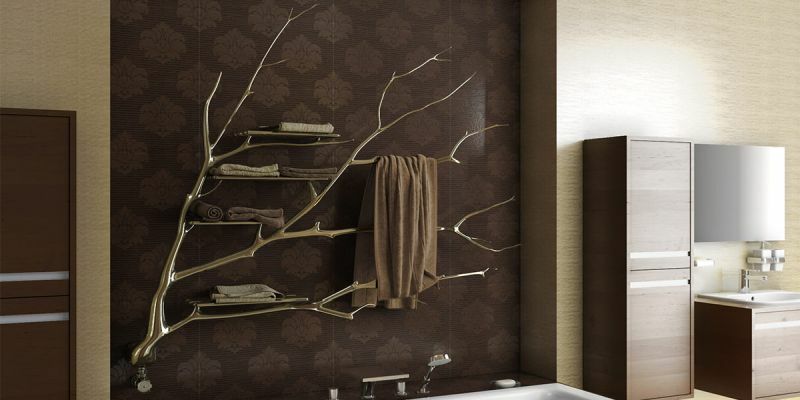 Besides decorating the bathroom space, it warms up the area with its efficient heating ability. 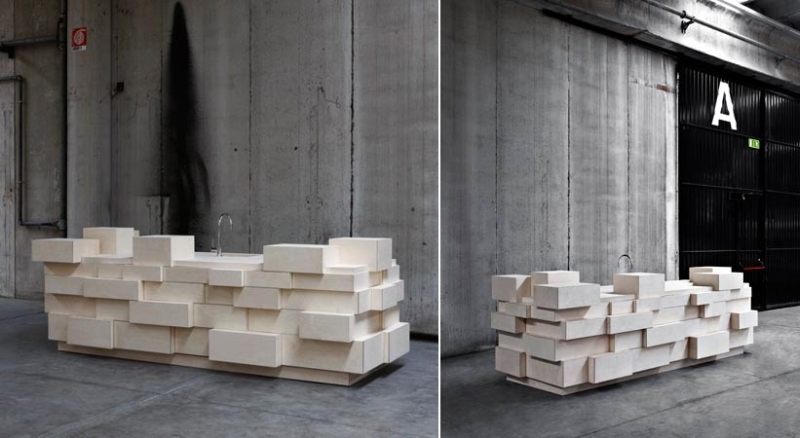 #12 Harow is a design studio in France, famous for their unconventional approach towards home furnishings. 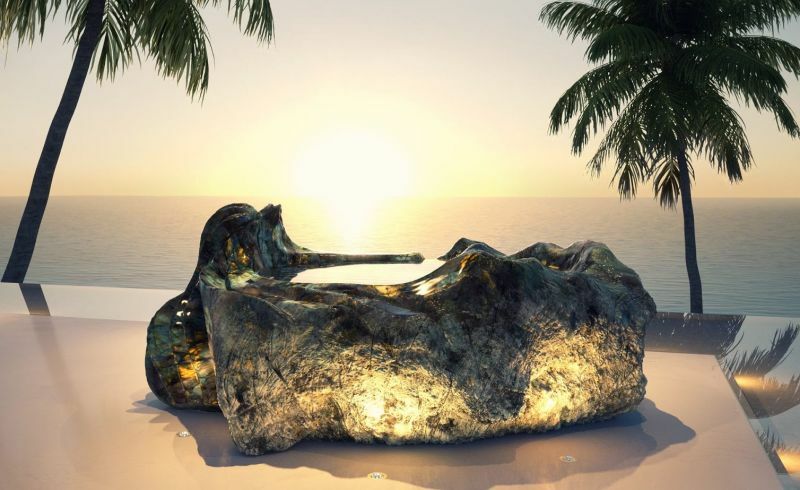 They have made a brilliant stool that resembles the face of the famous movie actor Arnold Schwarzenegger, which is fiercely gazing at onlookers. 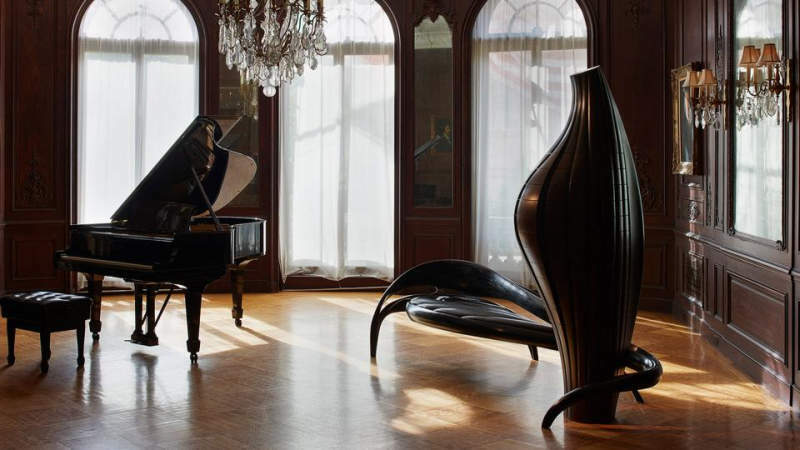 According to the studio, this piece of furniture is simply perfect for those who believe in natural forces of glory and success. 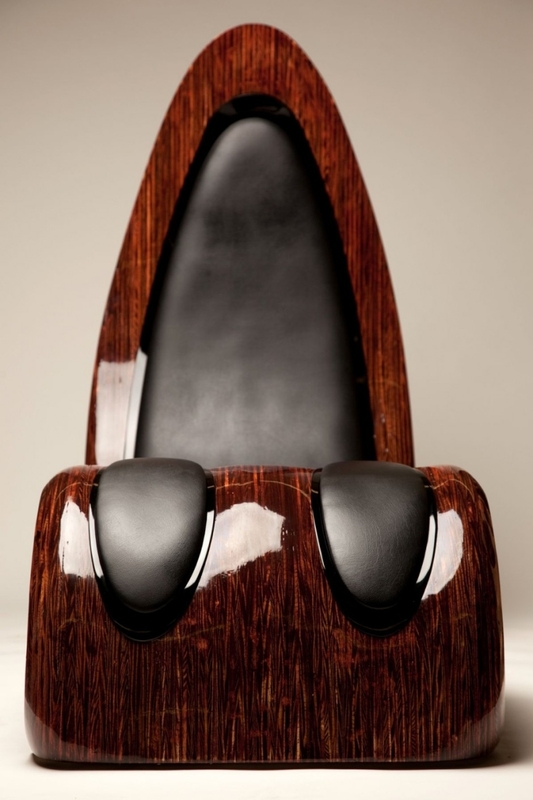 #13 This luxurious lounge chair by Kyle Buckner Designs is made of 152 layers of pine wood, fiber glass, and leather that is comfortable and stylish. 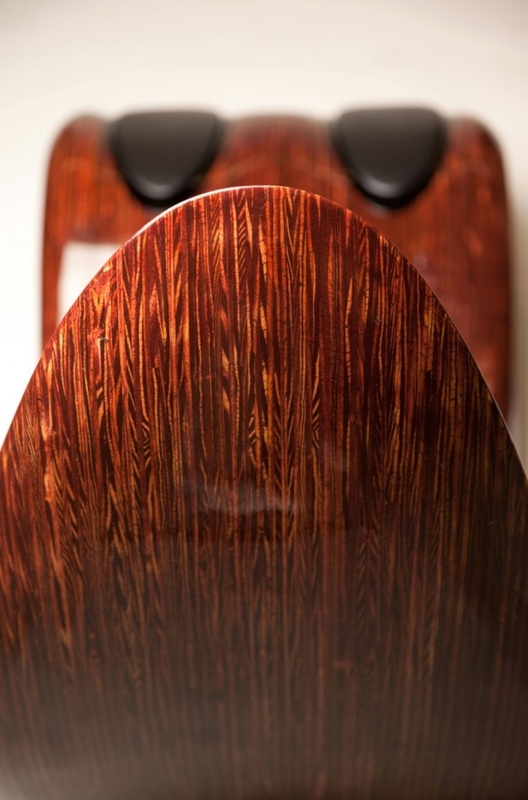 It is available in your choice of stain and sheen level. 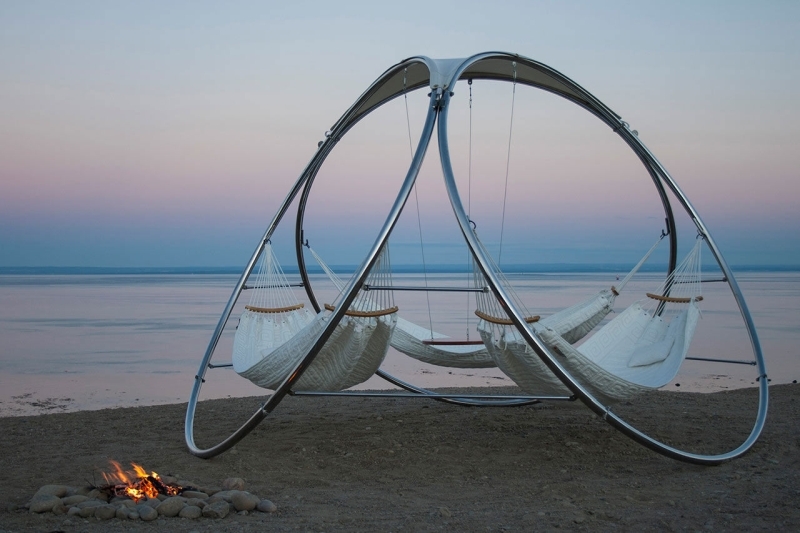 #14 This amazing hammock is quite different from the other ones. 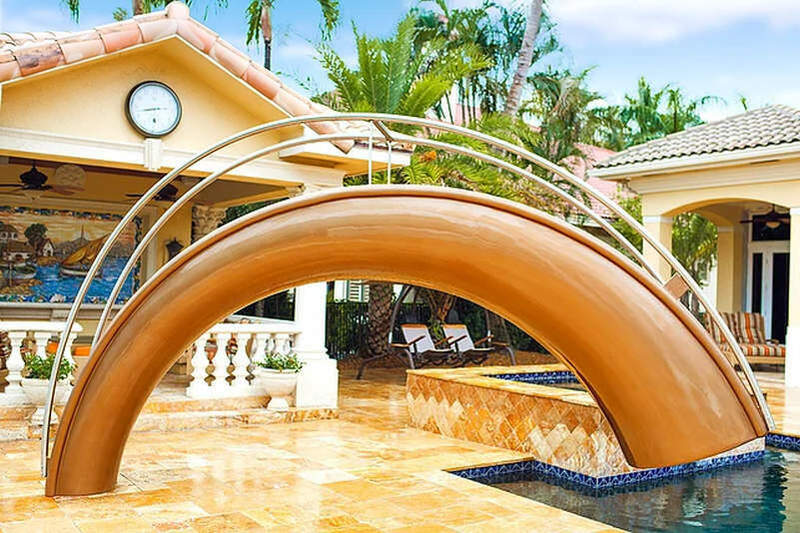 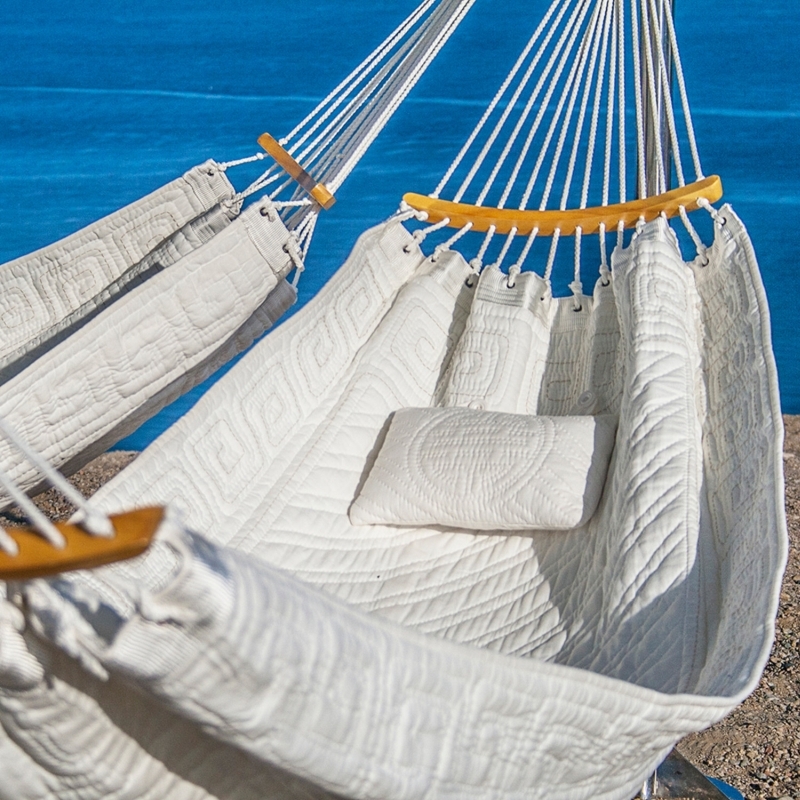 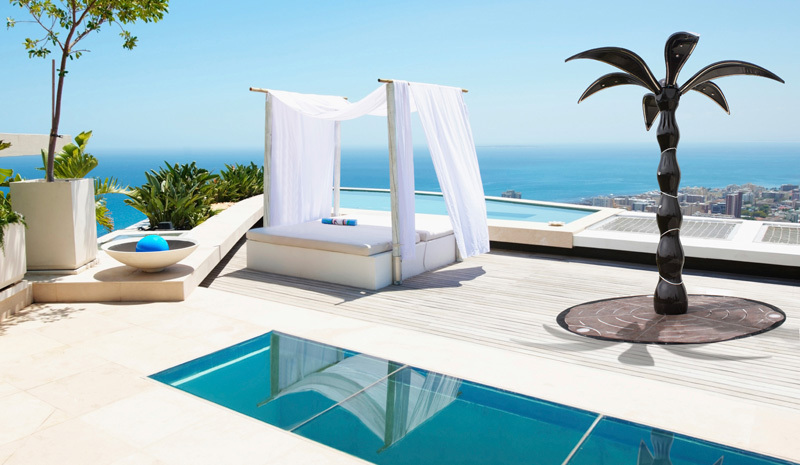 If you’re looking to create a luxury hospitality experience in your backyard, this luxury beach hammock is surely a perfect fit. 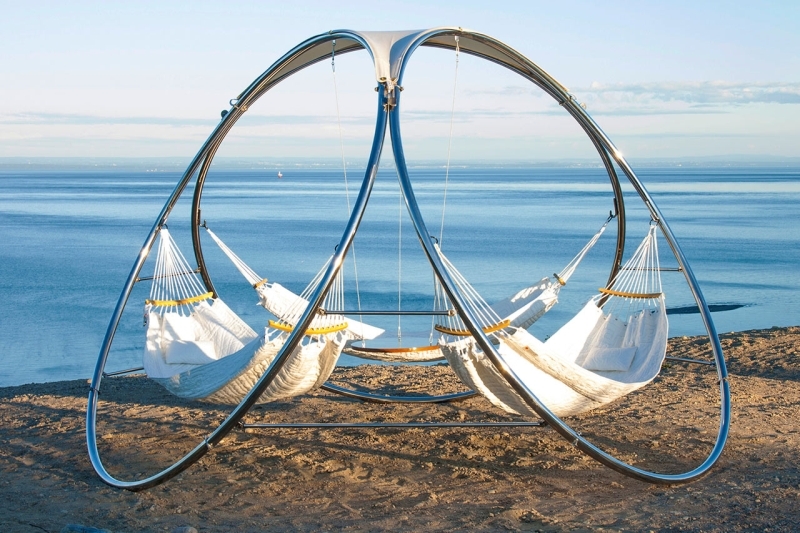 The Trinity with three hammocks ensures that nobody has to fight over napping spot again. 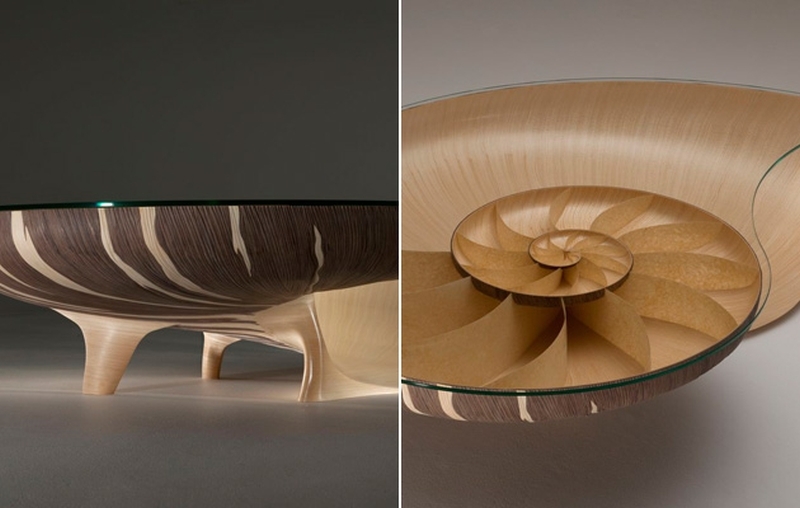 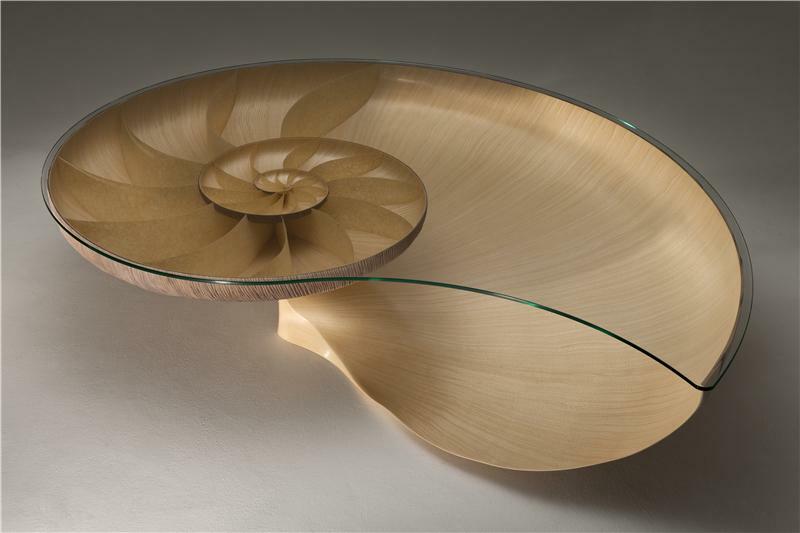 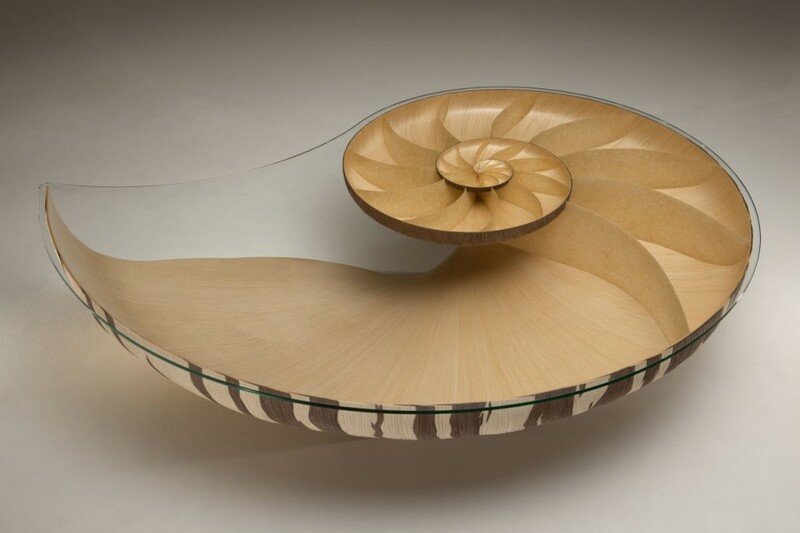 #15 Nautilus II table by Marc Fish made using innovative construction methods and computer aided technology is a clear inspiration of organic material furniture made from 4000 pieces of walnut and sycamore veneer. 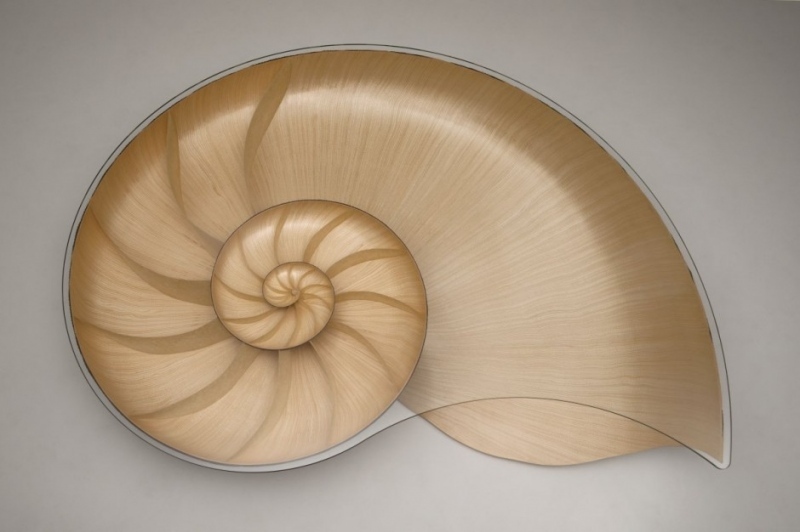 To achieve swirling line effect, the designer used golden ratio rule. 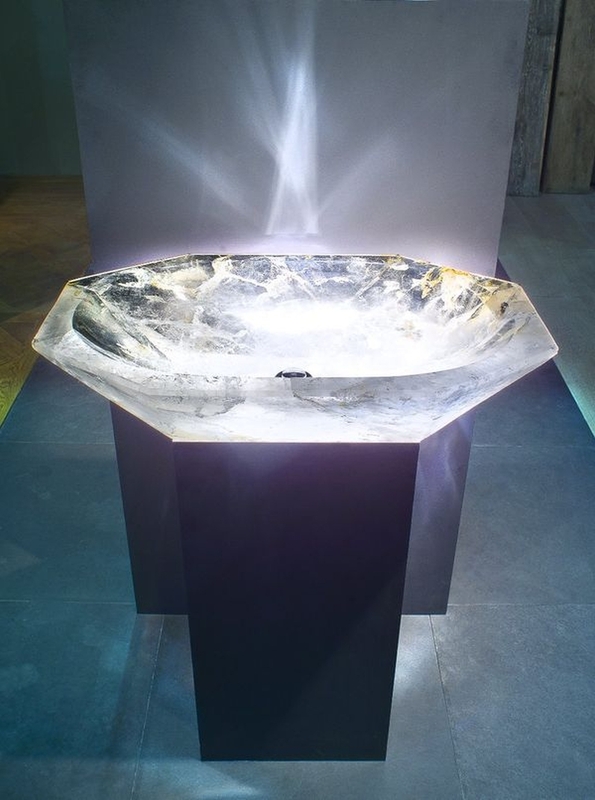 #16 The quartzite basin is a transparent and luminous washbasin that shines like a diamond. 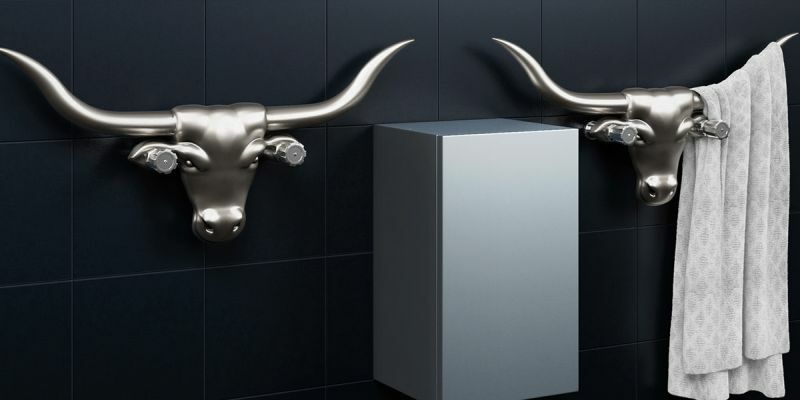 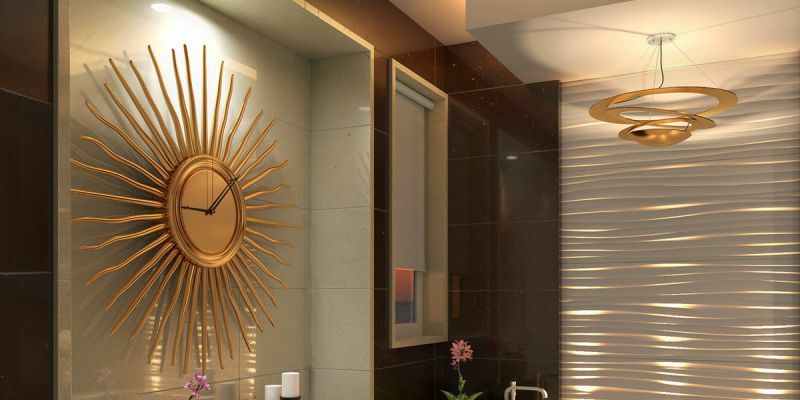 With this amazing piece of art, you won’t have to switch the light on for midnight bathroom trips. 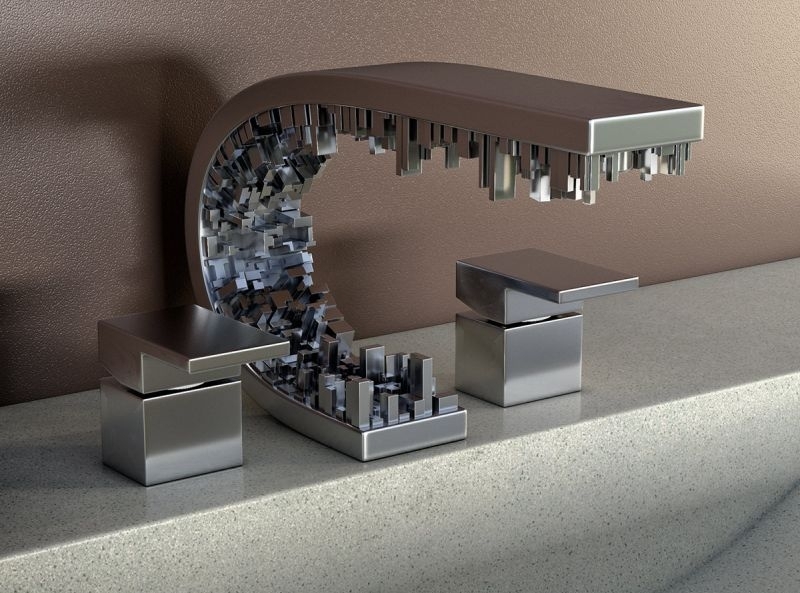 For its unique shape and characteristic, the crystal washbasin is priced at a jaw-dropping $25,000. 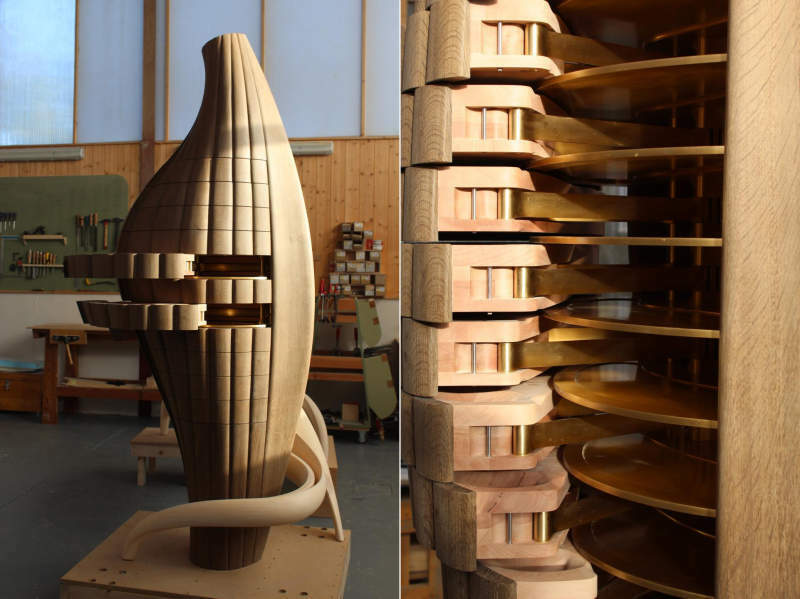 #17 Luciano Pasquariello, the man behind Shape Audio, has made these musical sculptures called Organic Harmony. 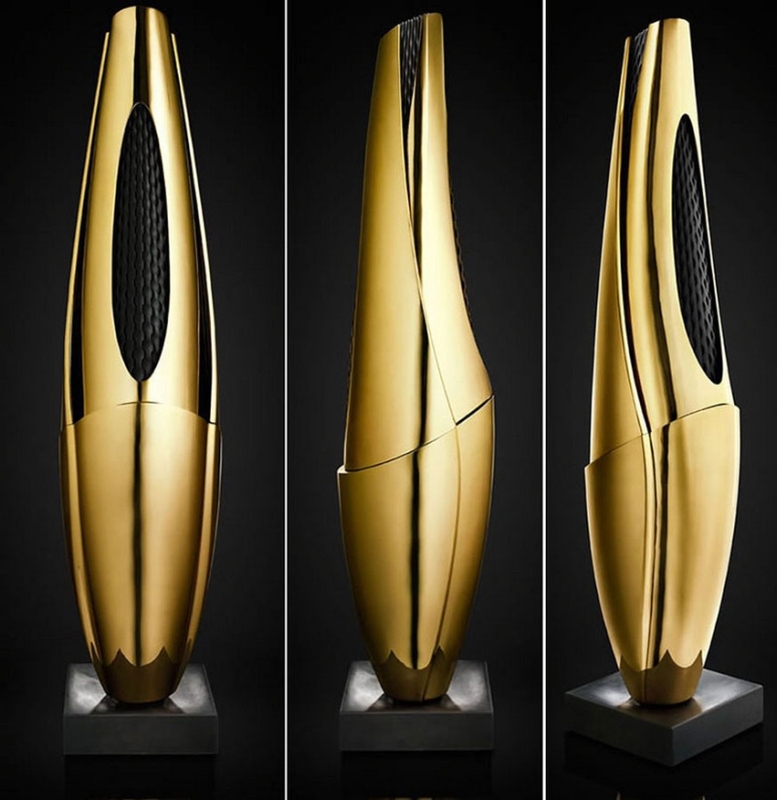 These stunning metal-based sculptural loudspeakers come in gold, bronze, and silver edition. 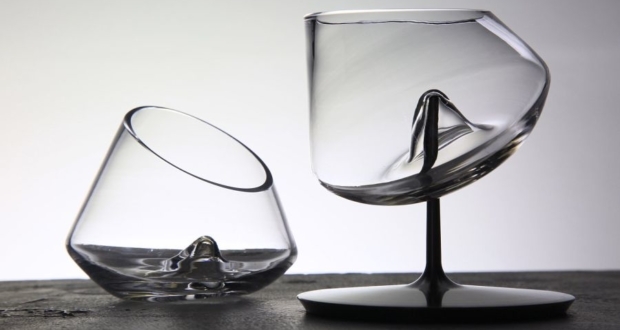 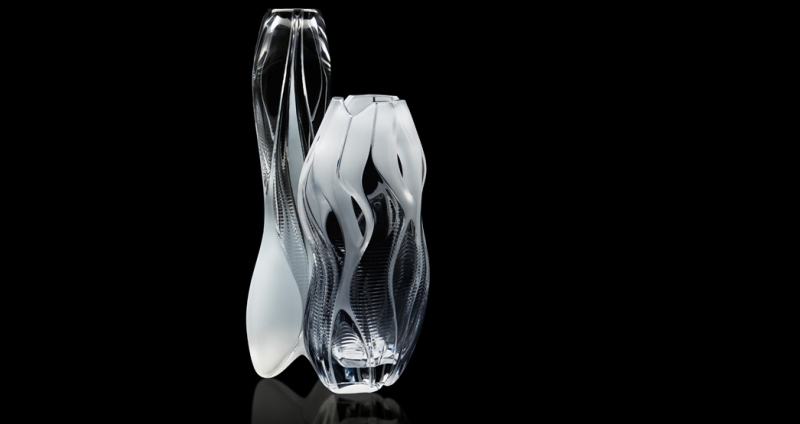 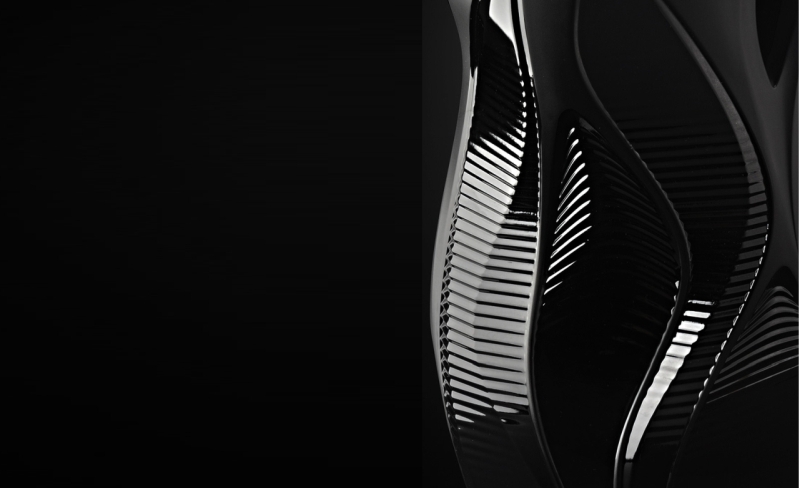 #18 These astonishing vases are designed by Zaha Hadid. 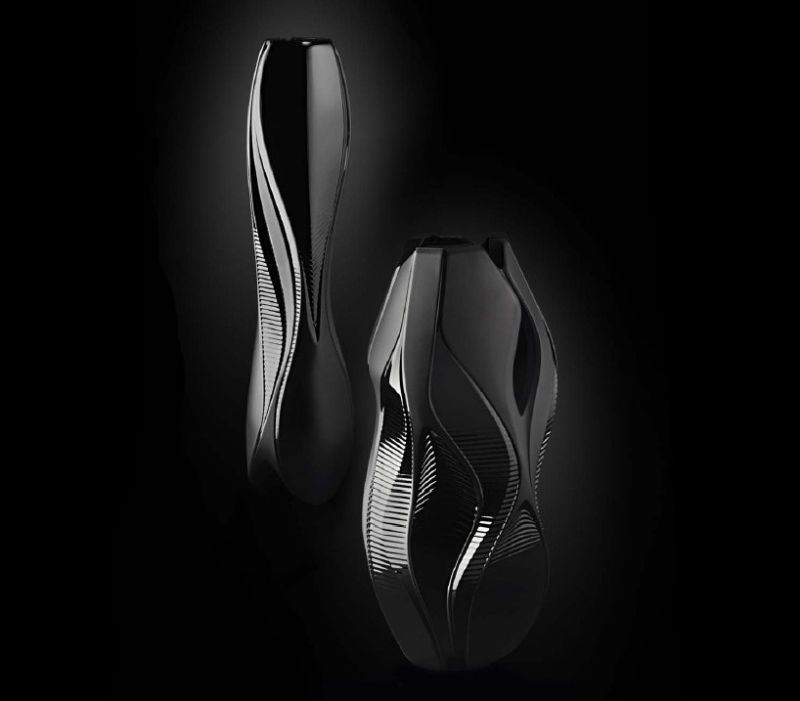 The first woman to have won the gold medal in architecture by the Royal Institute of British Architects, queen of the curve designed these vases in black and white crystal lines showing her signature patten. 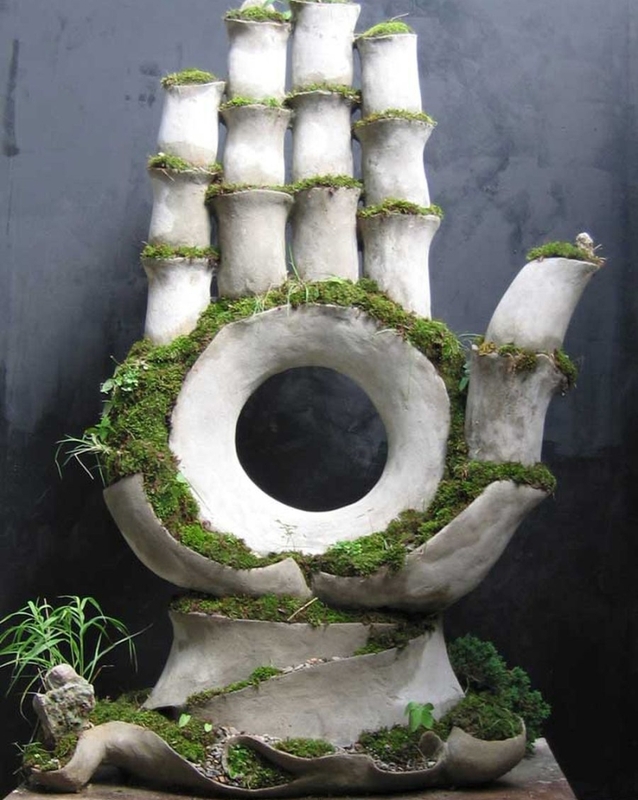 Give it a look! 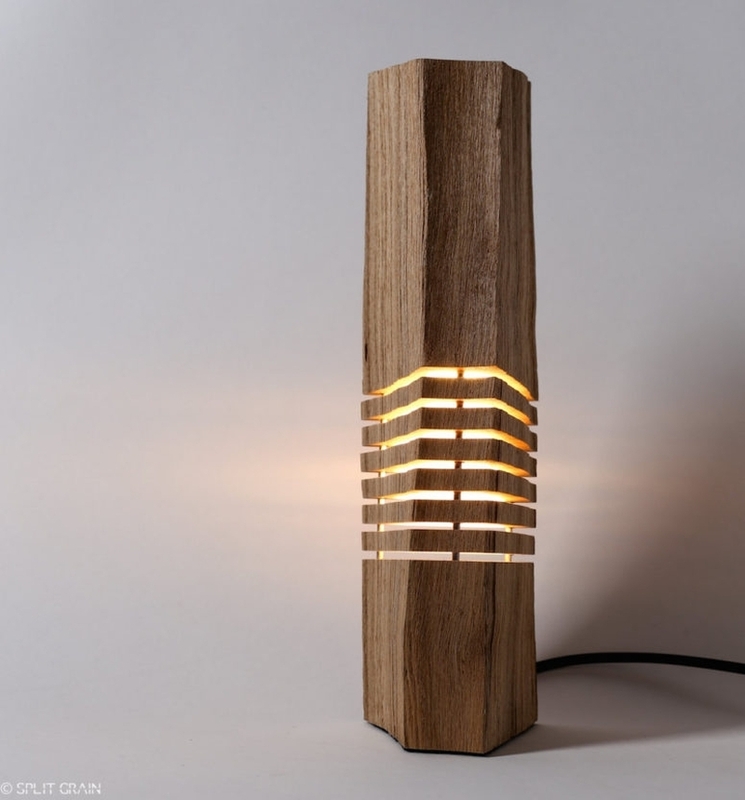 #19 This sculptural Split Grain lamp reveals nature through the minimal form. 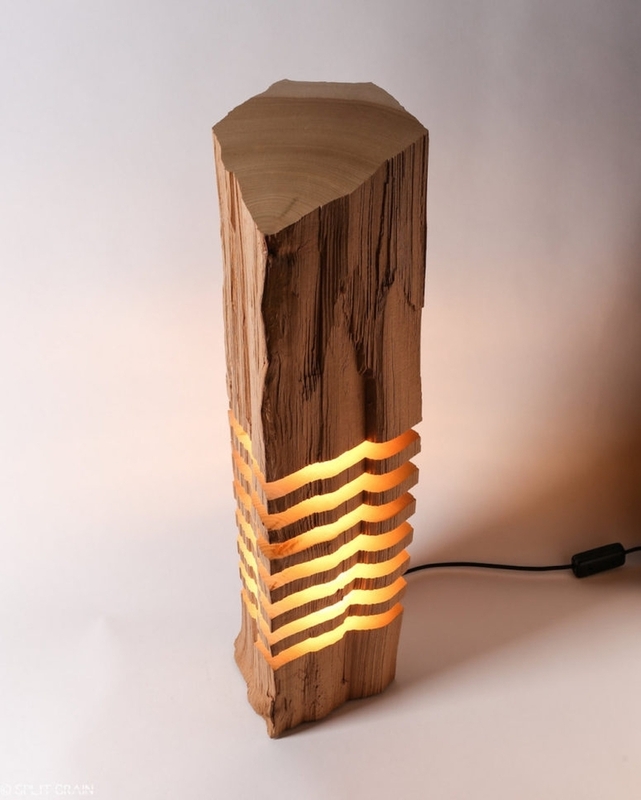 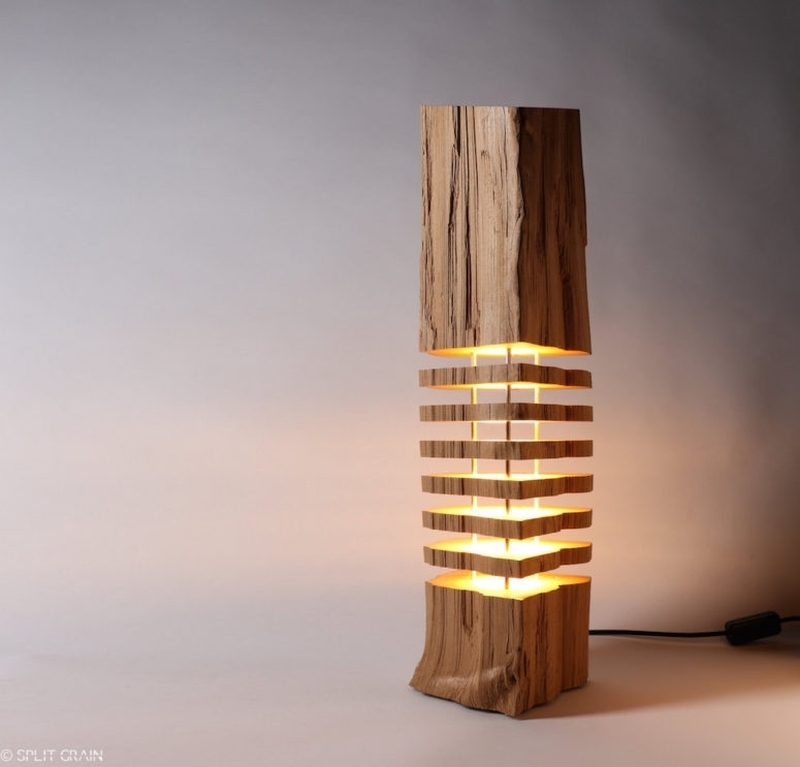 The illuminating sculpture is striking and is made of reclaimed wood. 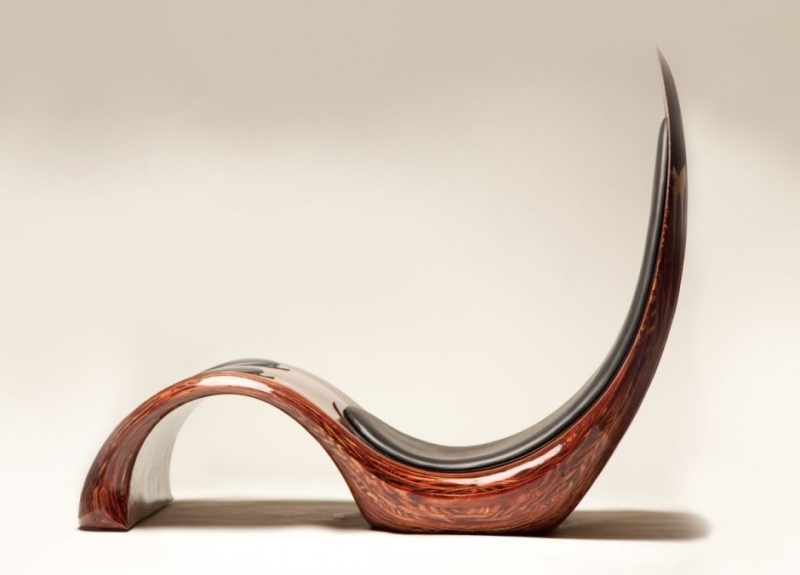 This is one-of­-a-kind handwork that will beautify your place with its appealing style. 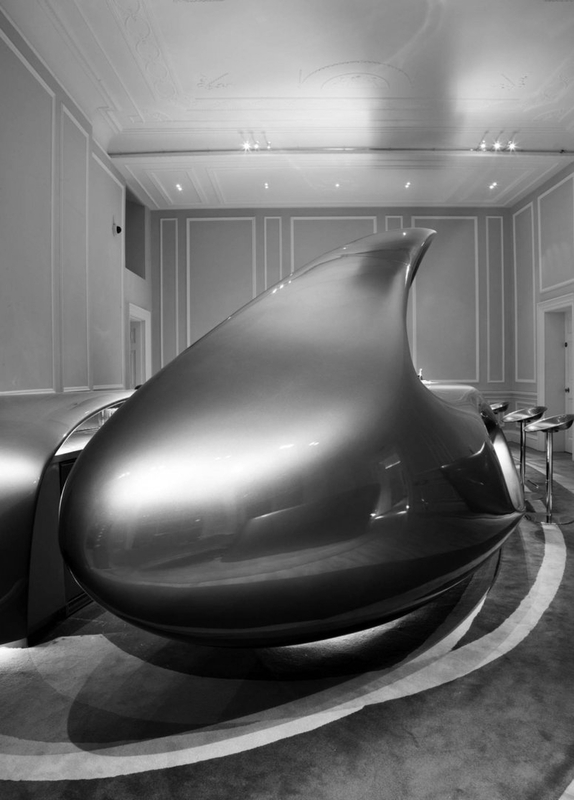 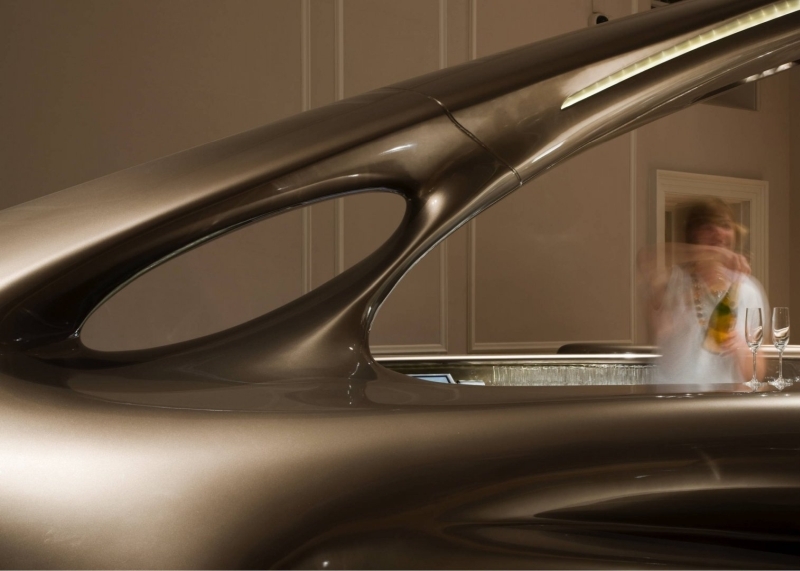 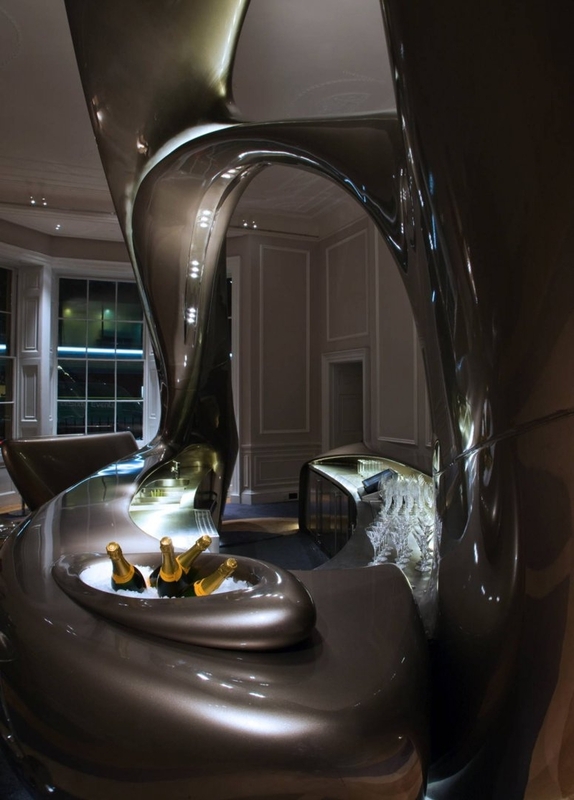 #20 The House Bar is designed by Zaha Hadid for Home House private members club. 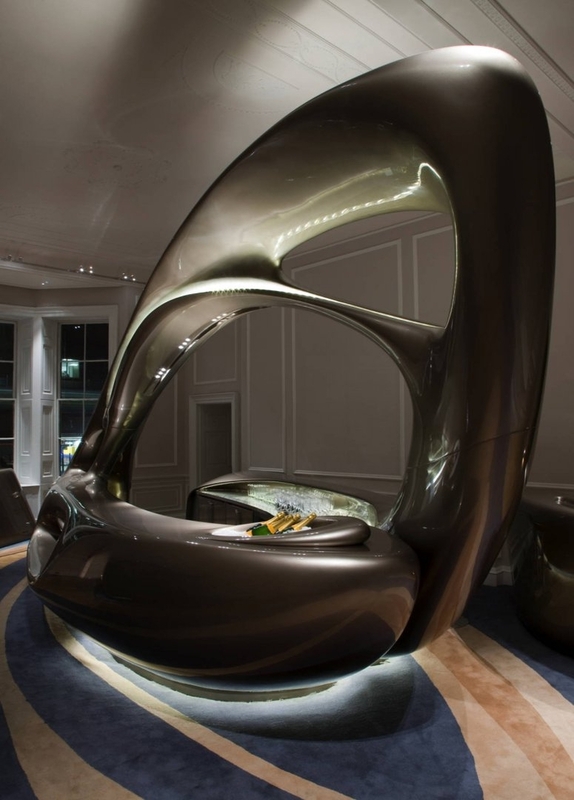 Boasting a unique and futuristic design, this compact bar features Zaha’s signature sweeping lines and metallic finishes in pyrites bronze. 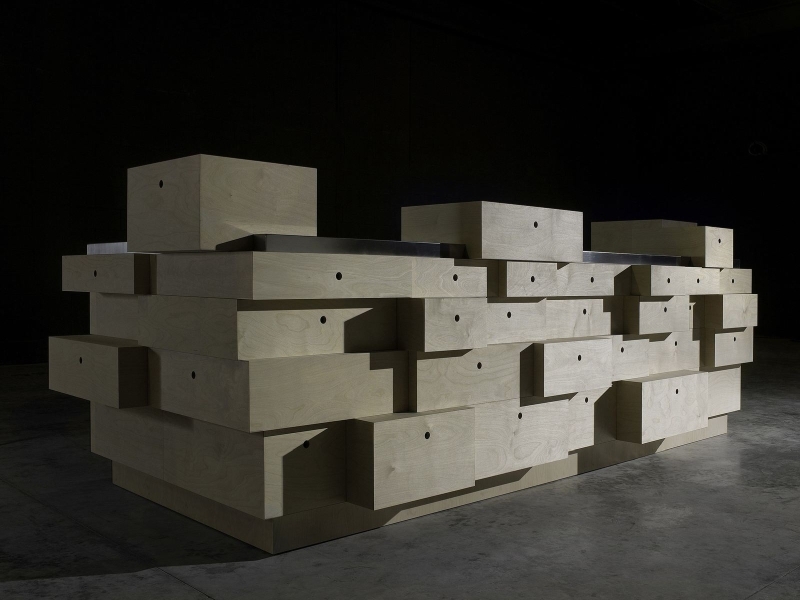 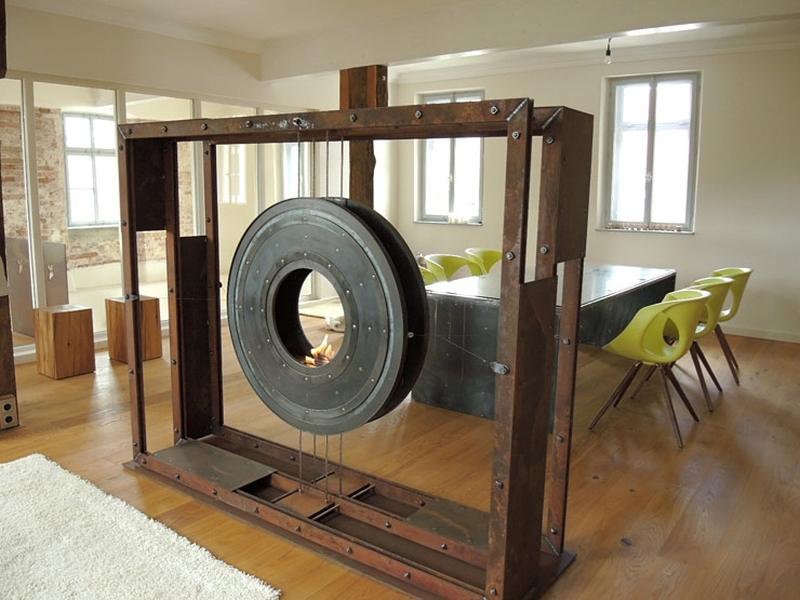 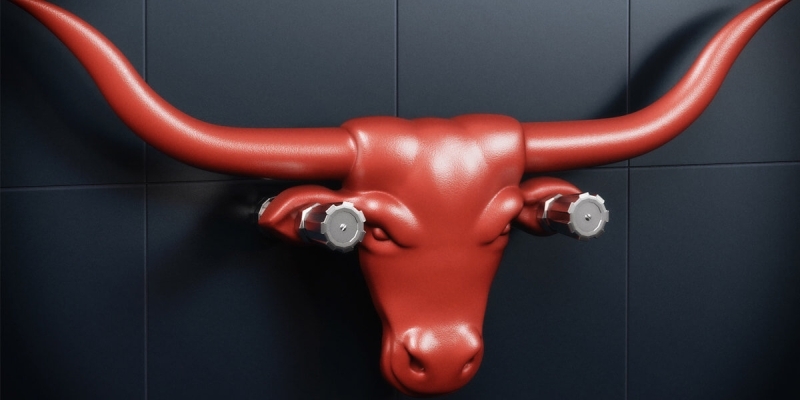 #21 SplinterWorks is a UK-based company famous for creating sculptural objects. 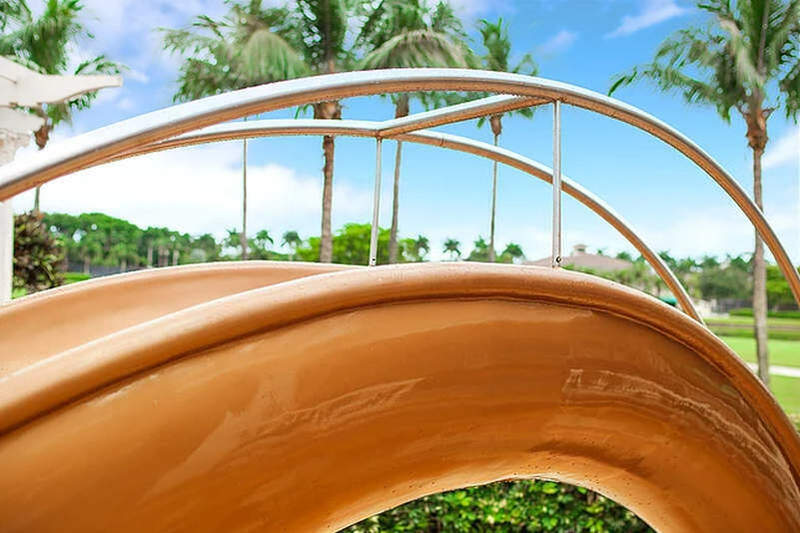 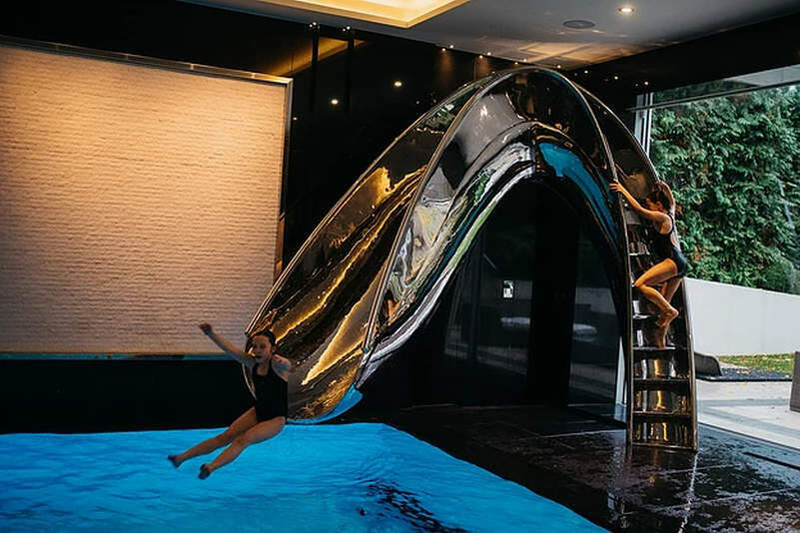 Their Reflex pool slide features mirror-polished stainless steel finish and handrail incorporated into the slide structure. 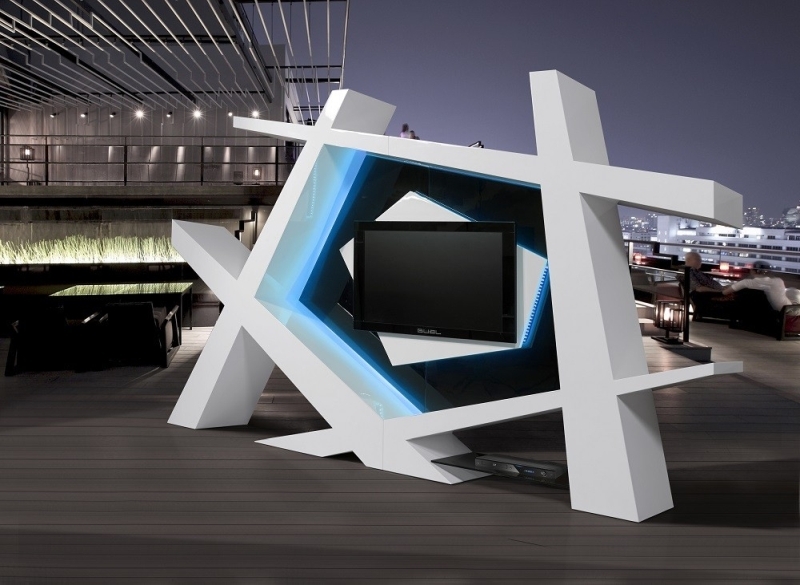 #23 This amazing Starda Premium TV unit features a unique design. 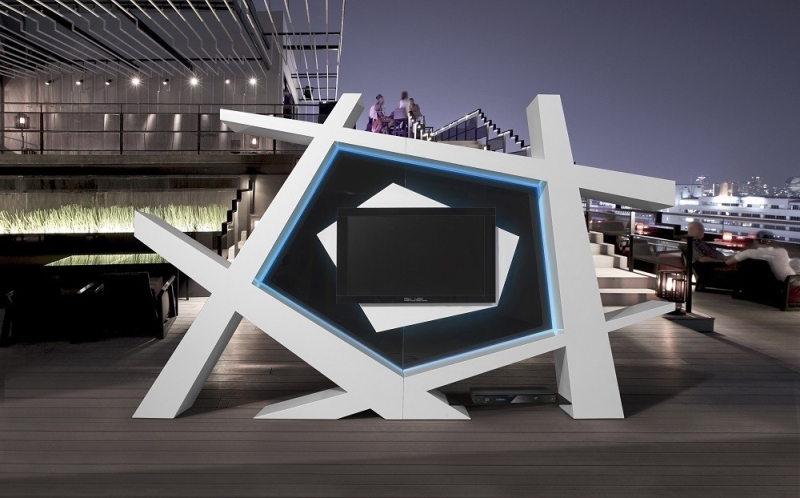 Crafted in white beams with black shade, the TV cabinet feature blue LED on the back panel for an eye-catching finish. 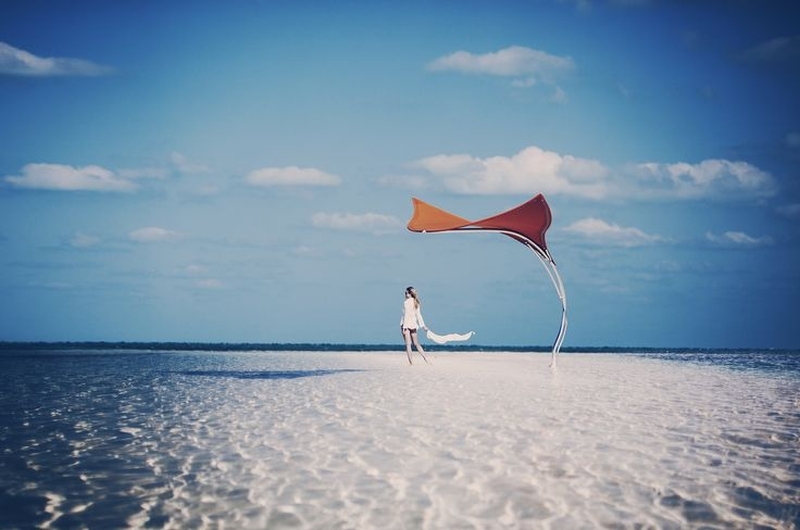 #24 This stingray-shaped Tuuci Stingray sun shade is designed for beaches, patio, and backyards to save you from the sunlight. 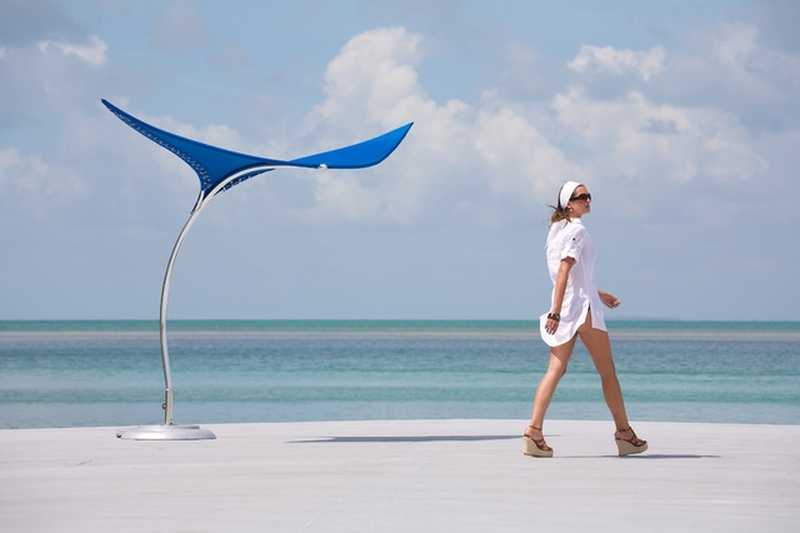 It can be rotated 360° degrees to allow you to follow the sun and provide shade throughout the day. 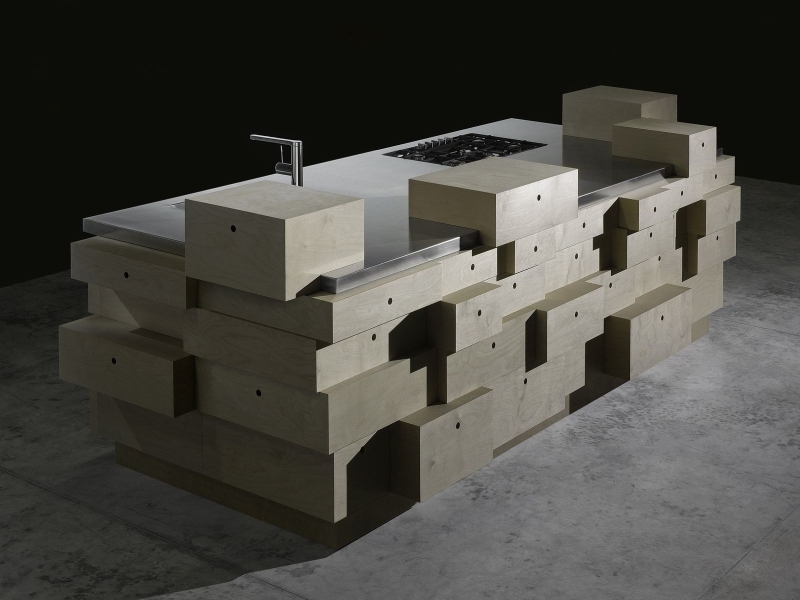 #25 Gitta Gschwendtner designed this kitchen island for Schiffini. 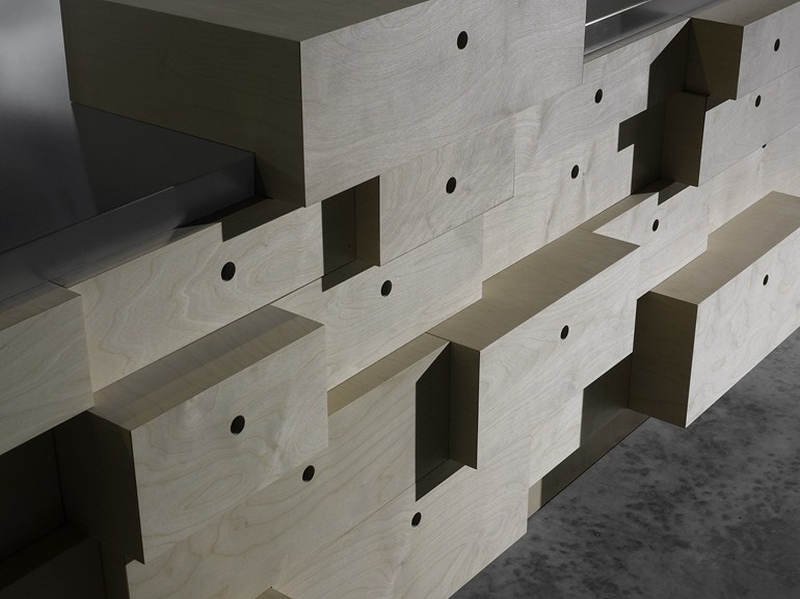 The avant-garde and constructivist kitchen island is filled with multiple large drawers that create a relief pattern reminiscent of the cubist era. 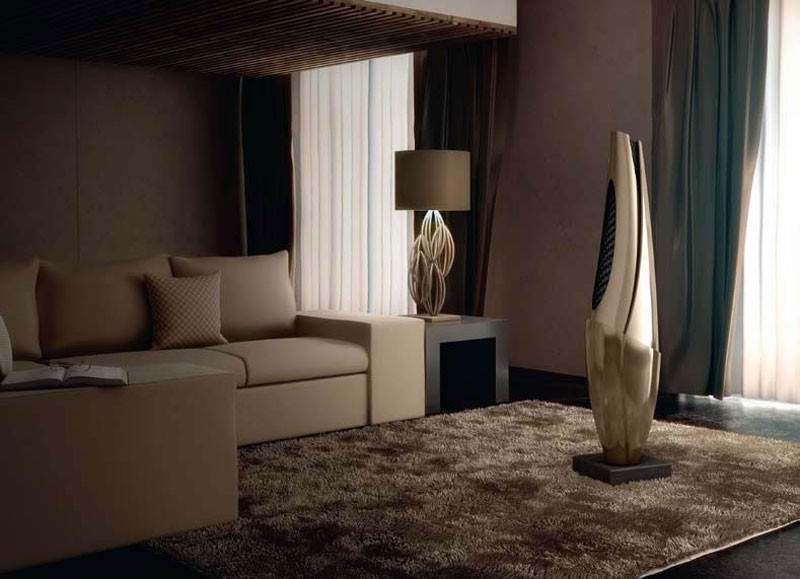 Mehul is a Master's in Mass Communication and Journalism. 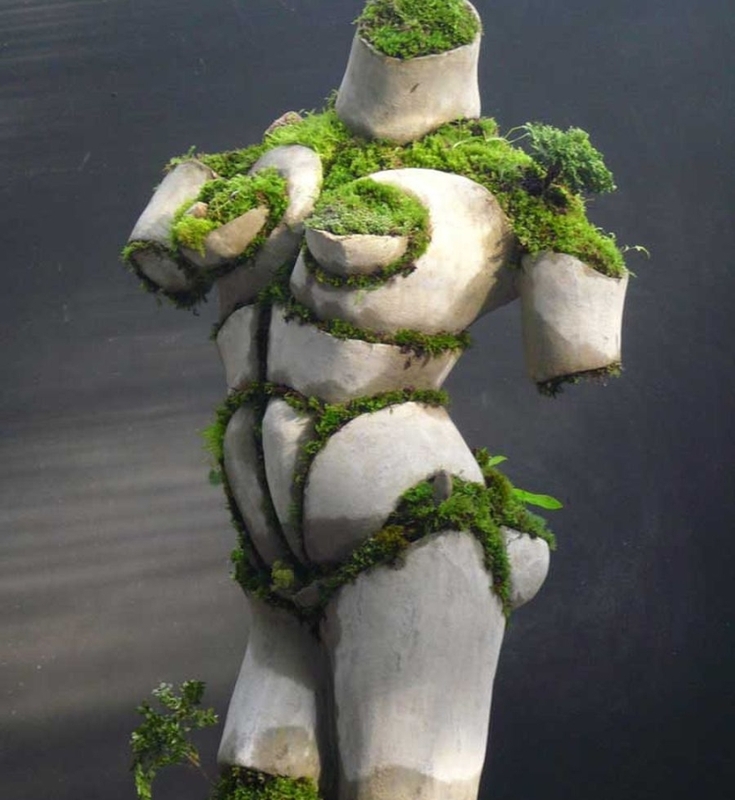 Her name means cloud, and she is as bubbly as one. 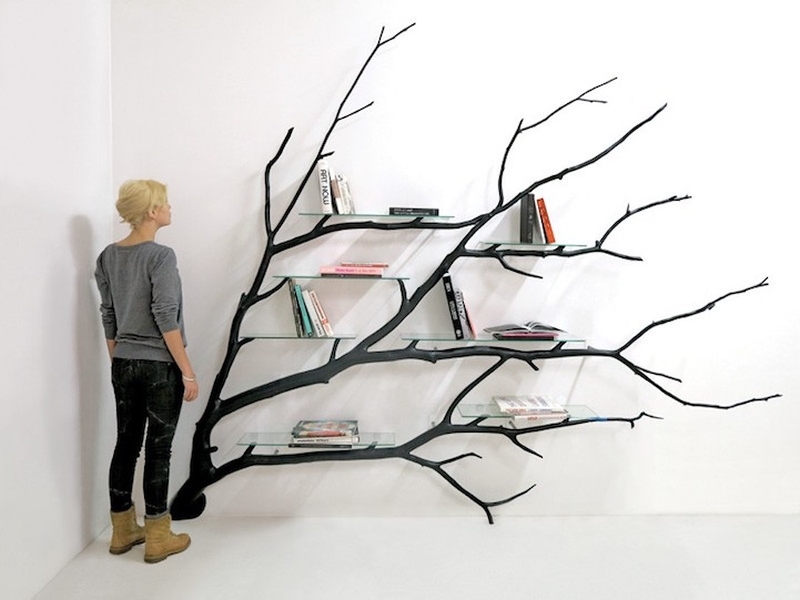 When not writing on home decor, Mehul could be seen hiking a cliff or driving her car. 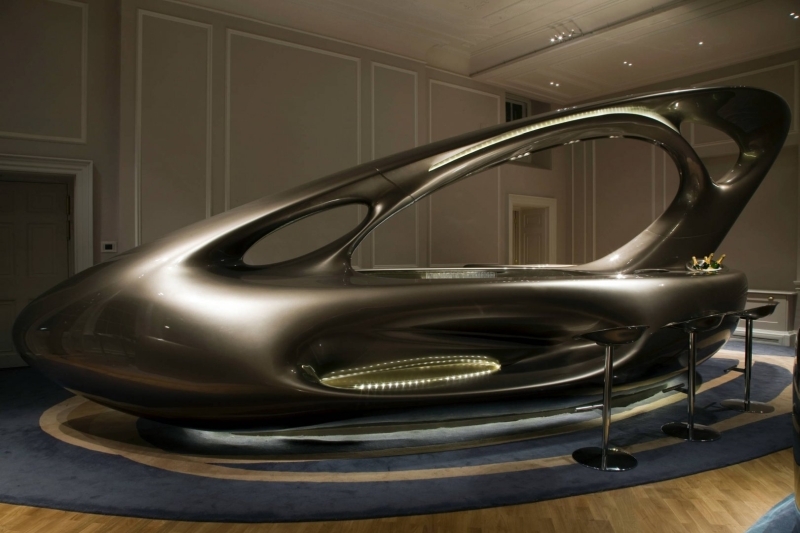 Mehul has a dream to participate in World Racing Championship someday.